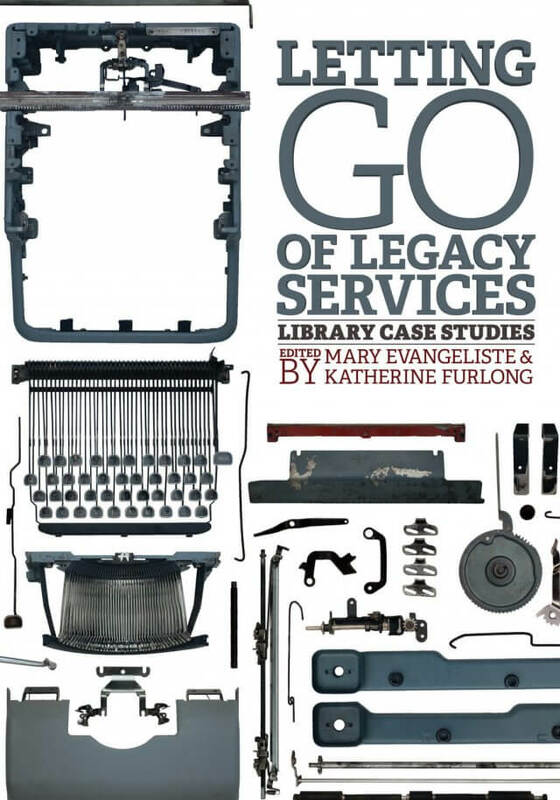 Book cover photography and design for a series of case studies on planned abandonment strategies for libraries. 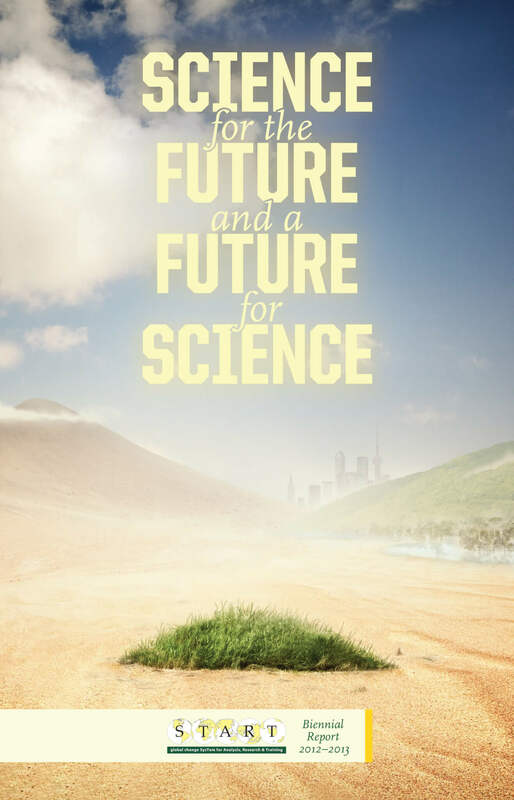 In addition to the cover we created a promotional video animating the elements from the cover. 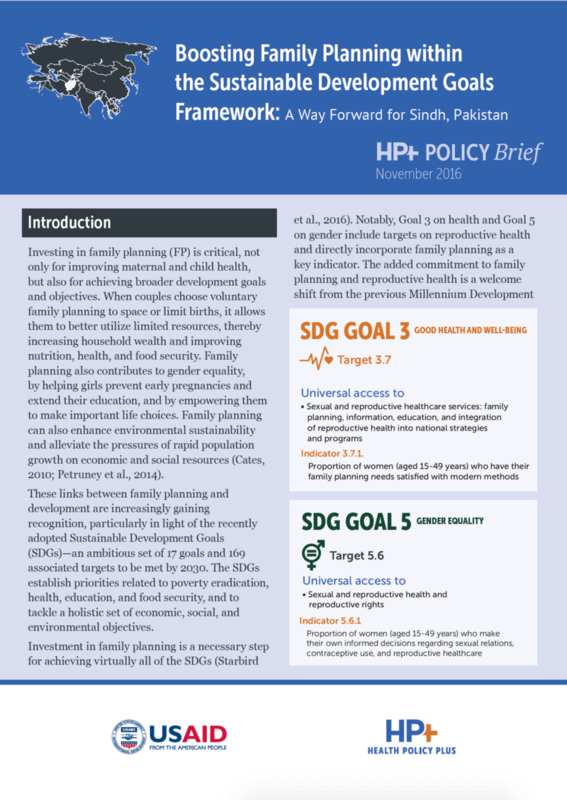 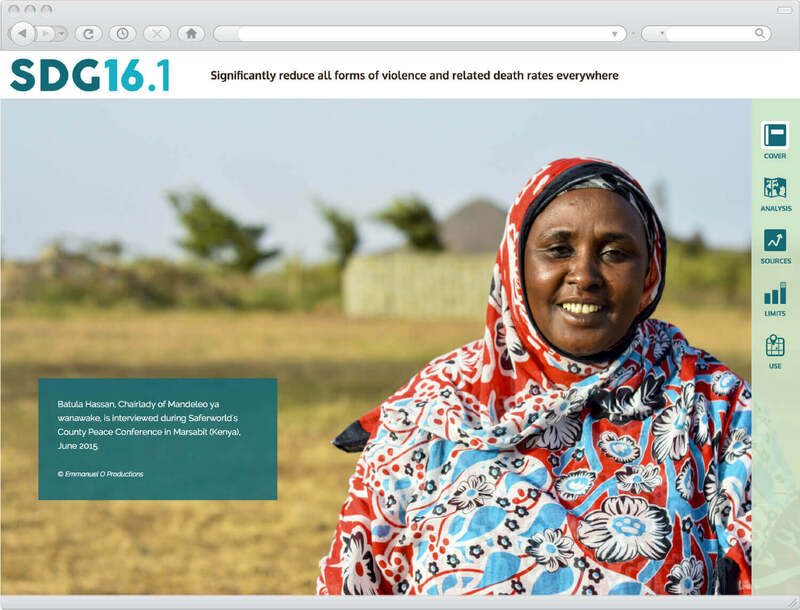 A web-based report for the United Nations’ Sustainable Development Goals 2016. 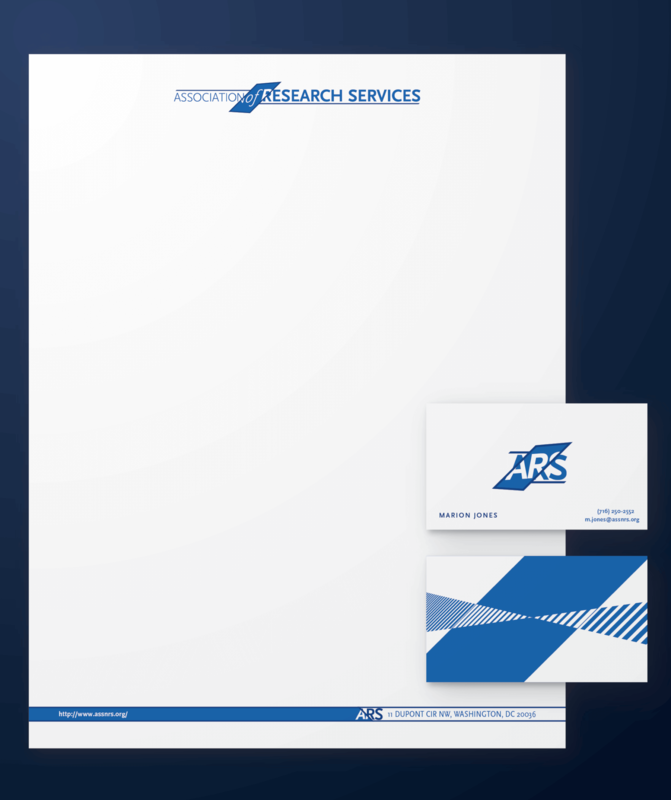 An unused branding project for an educational non-profit. 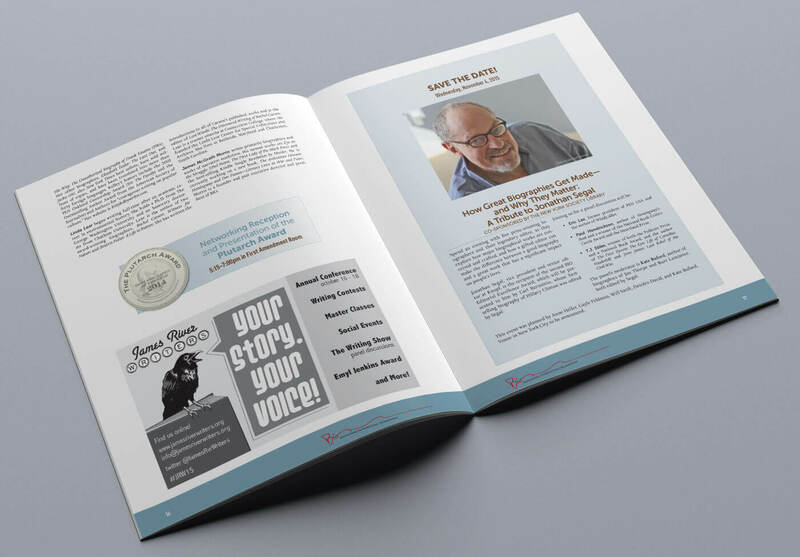 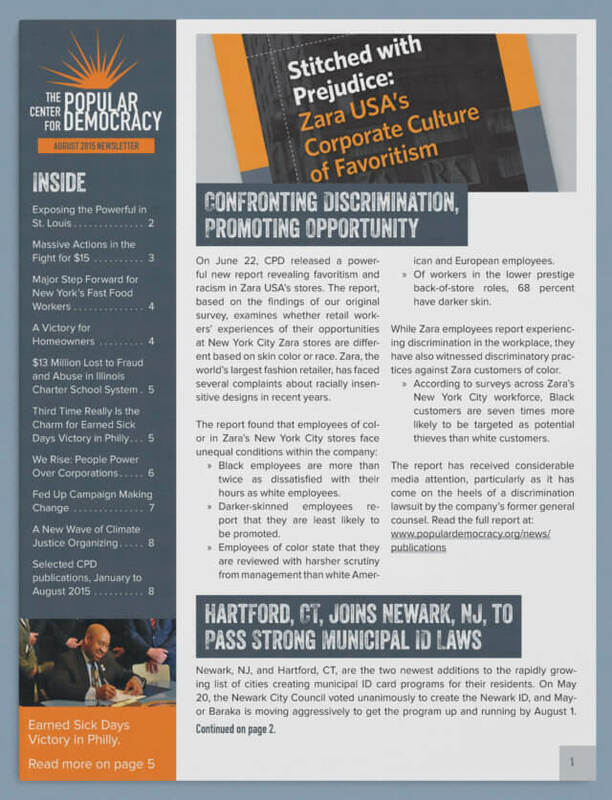 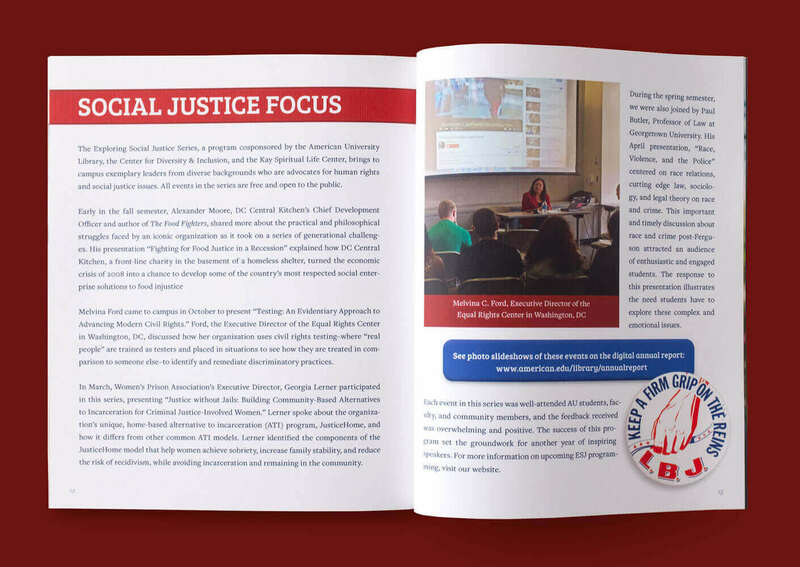 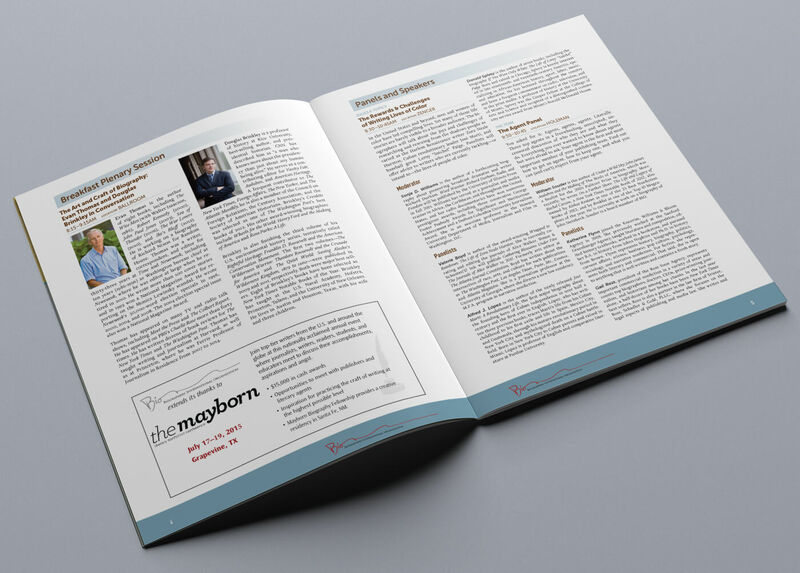 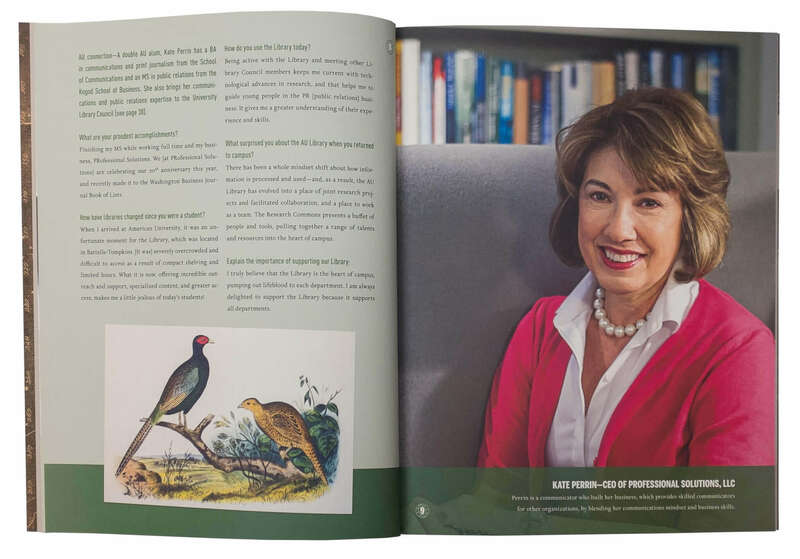 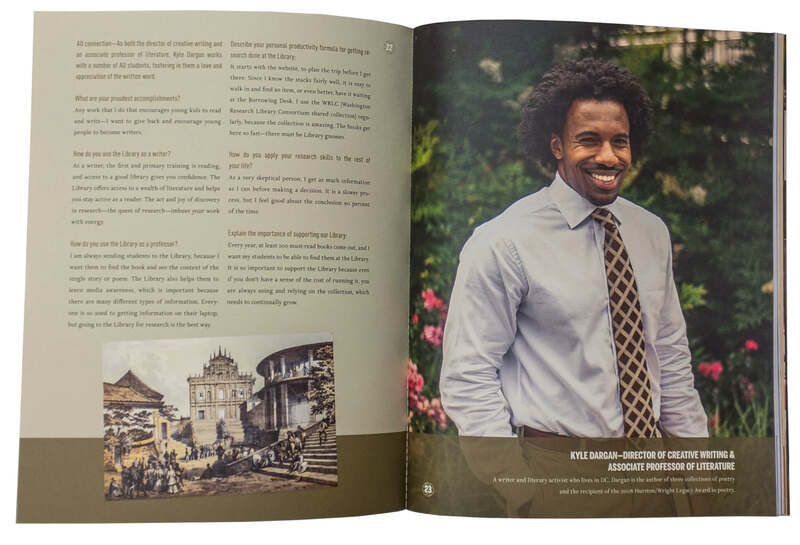 A web-based annual report and printed companion piece with a sampling of the content to drive traffic online. 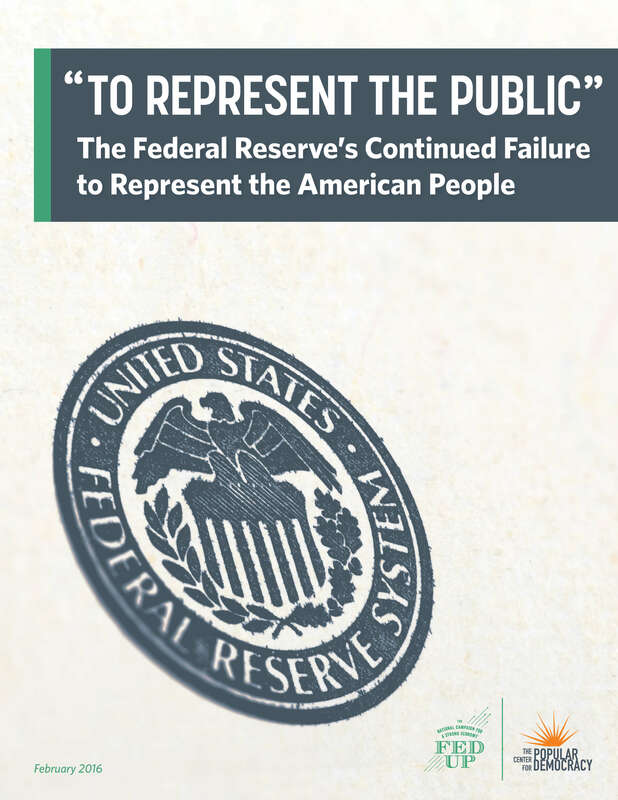 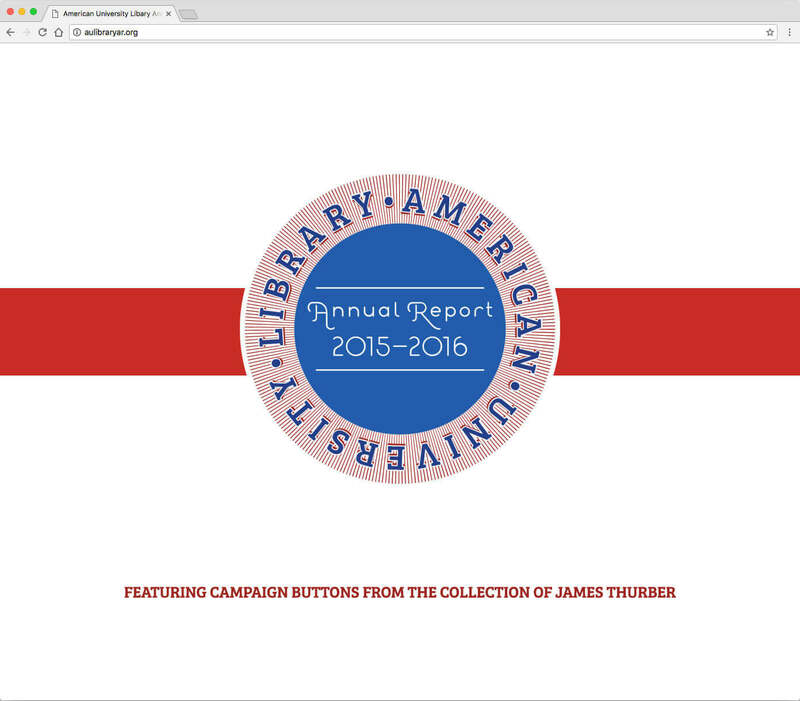 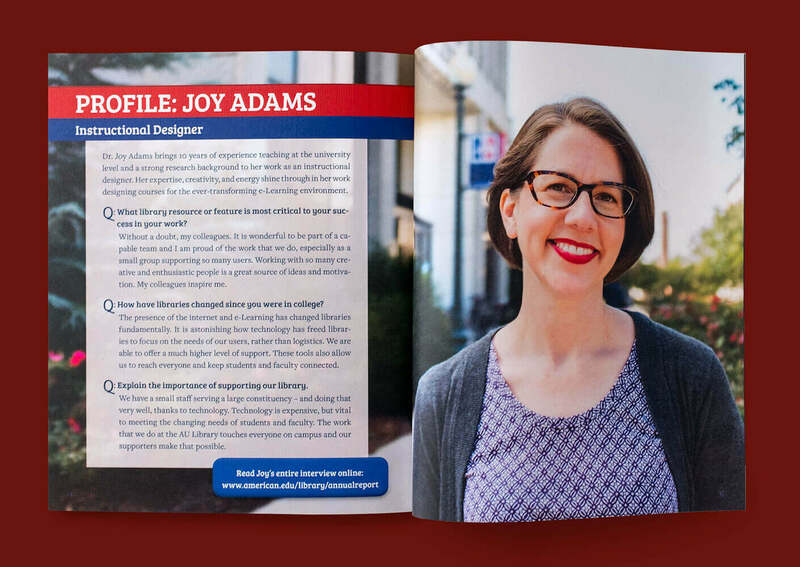 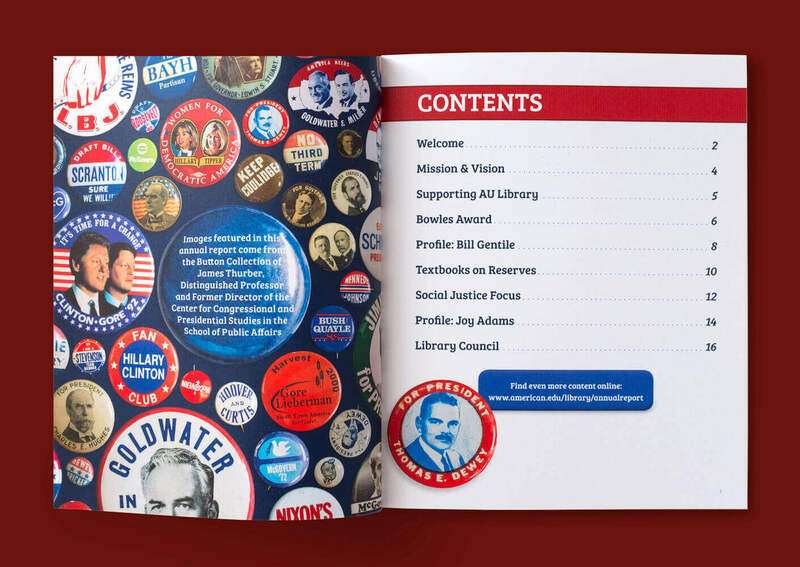 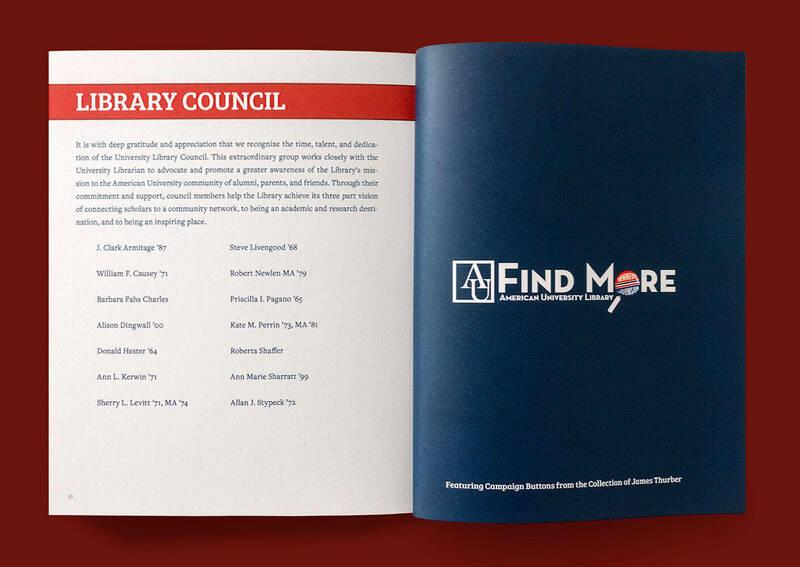 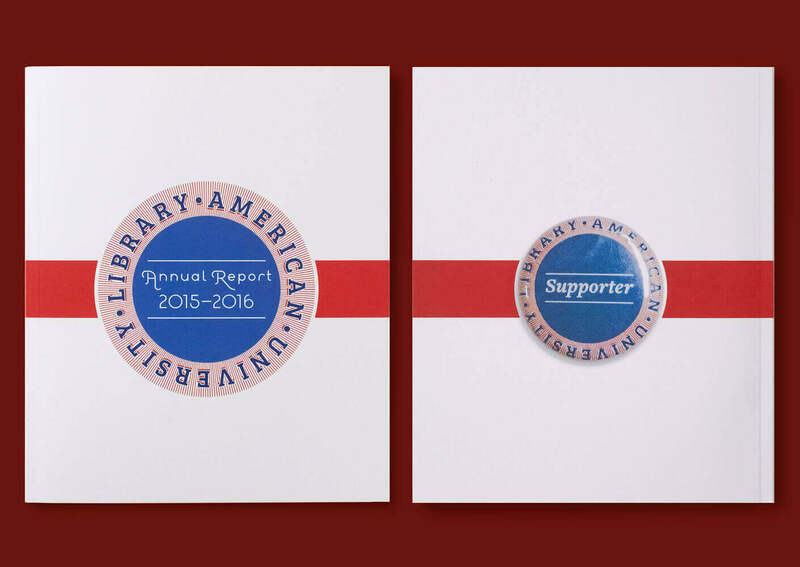 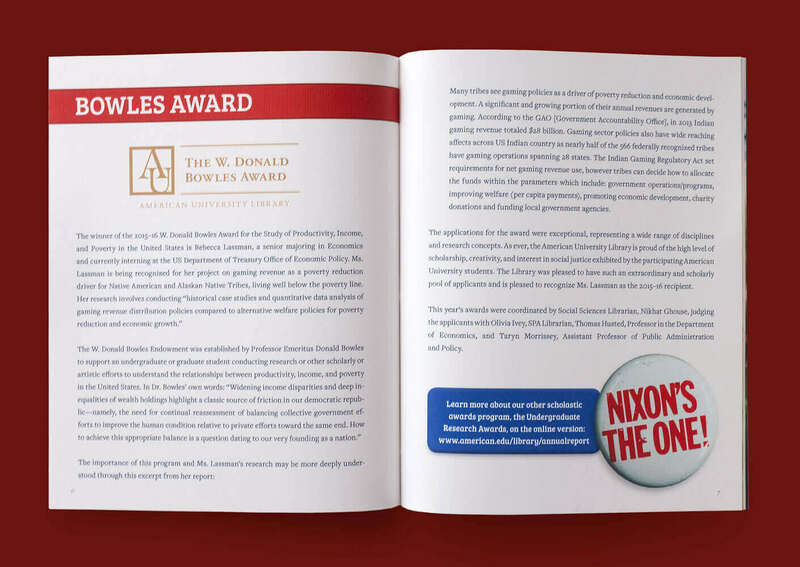 The annual report features campaign buttons. 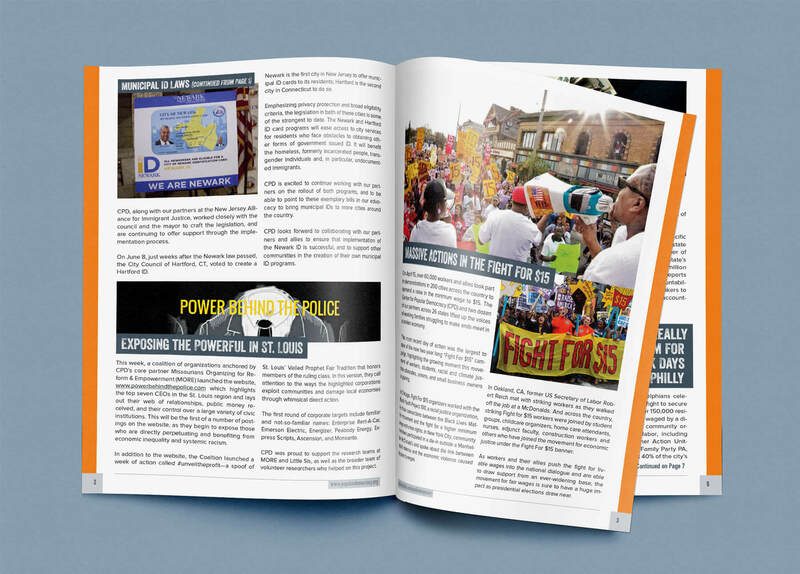 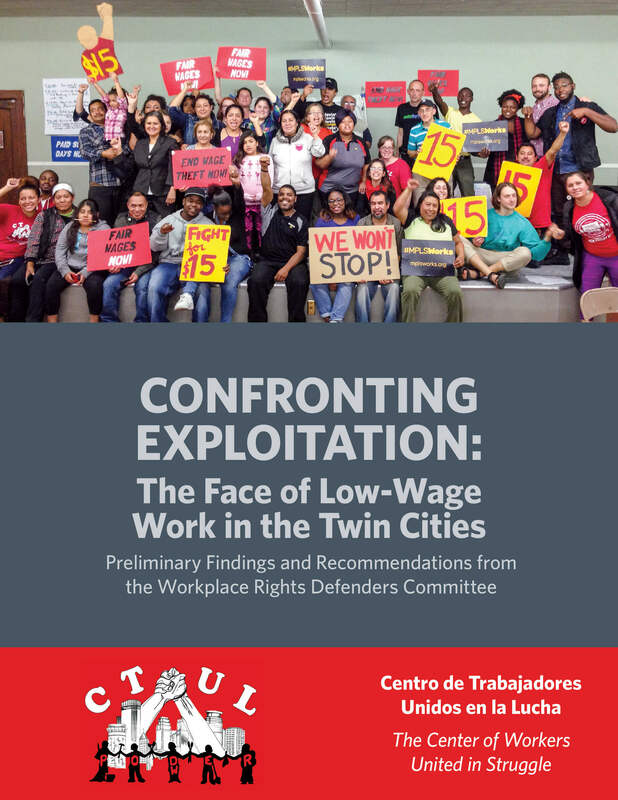 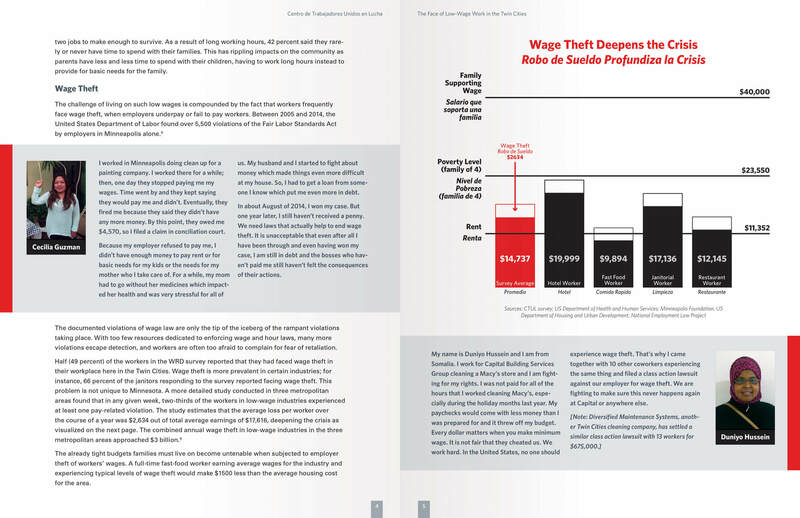 Various report layouts and cover designs. 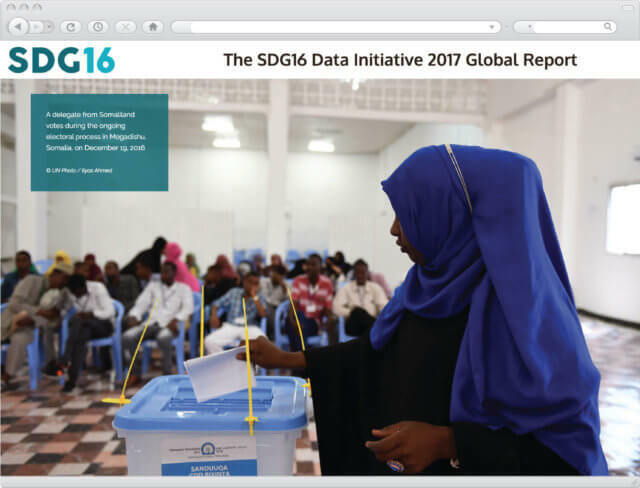 We designed and coded this mobile-first online biennial report for START with advanced analytics tracking to see which pieces of content performed best. 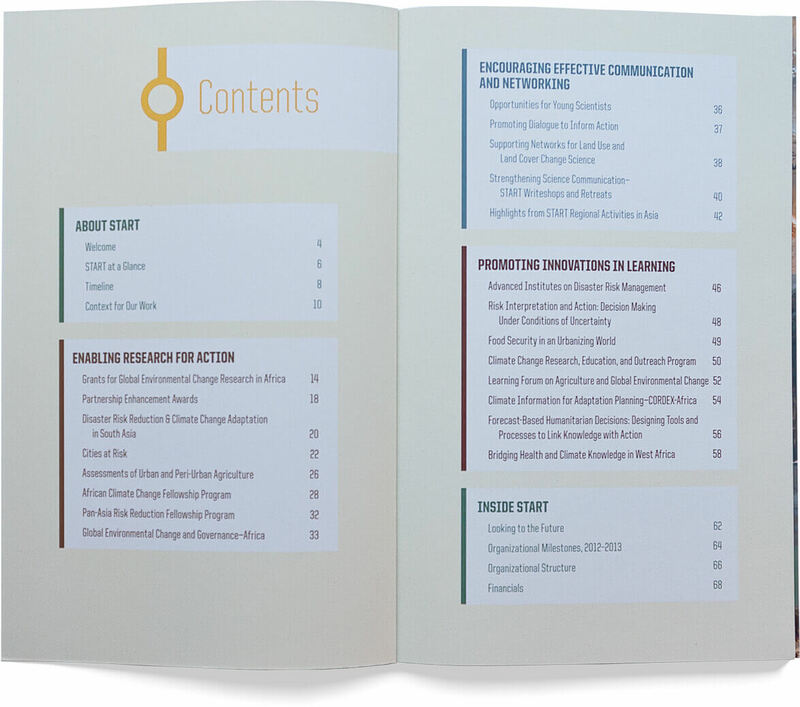 This will allow them to effectively plan the most pertinent content for the next report. 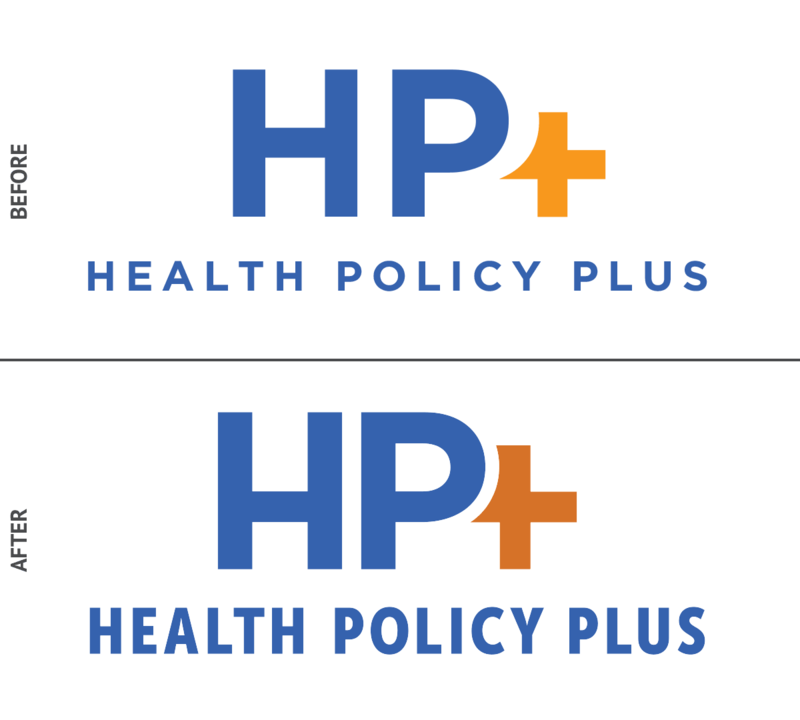 Logo refinement and brand development for a USAID-funded 5-year project to work on health policy development and implementation around the globe. 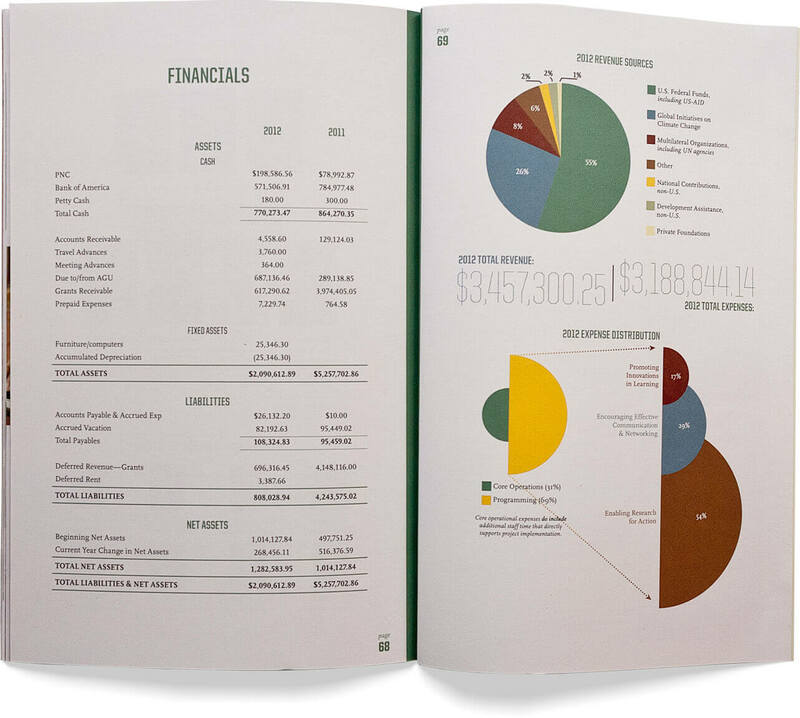 A web-based annual report and printed companion piece with a sampling of the content to drive traffic online. 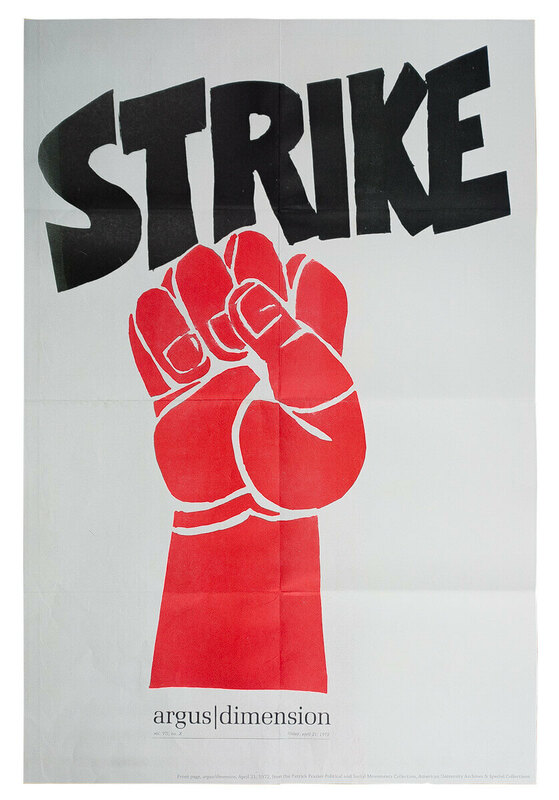 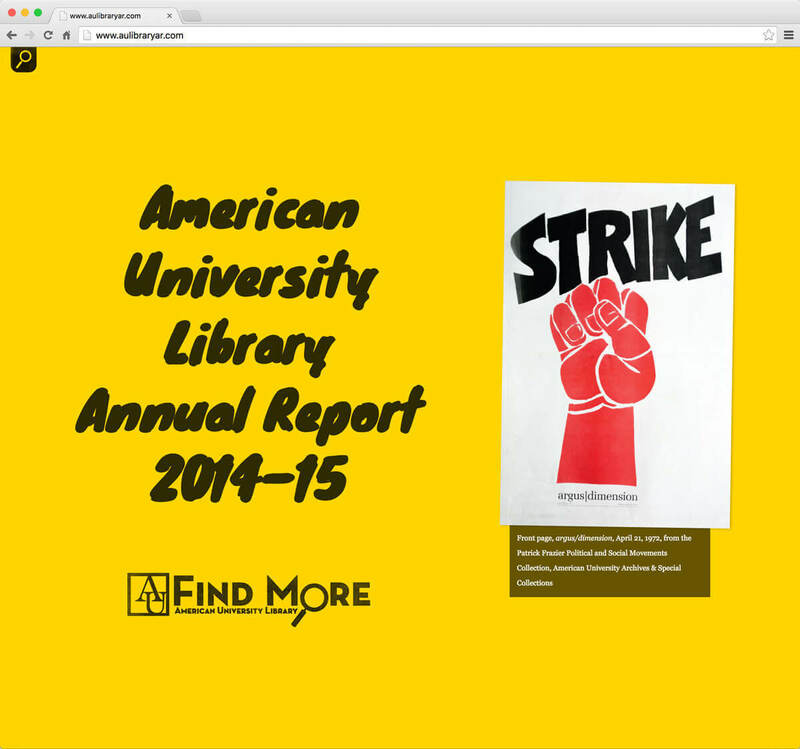 The annual report features social protest images from the Library’s special collections. 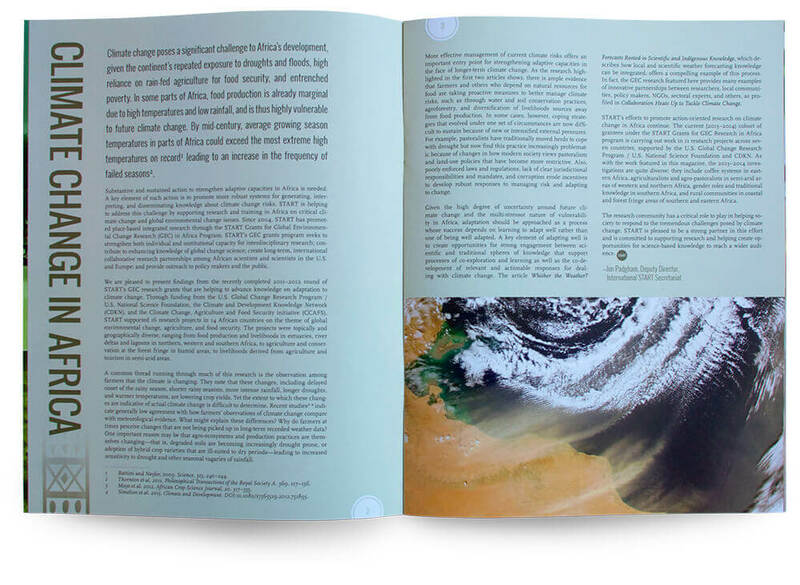 Redesign and layout for an 8-page, saddle stitched magazine. 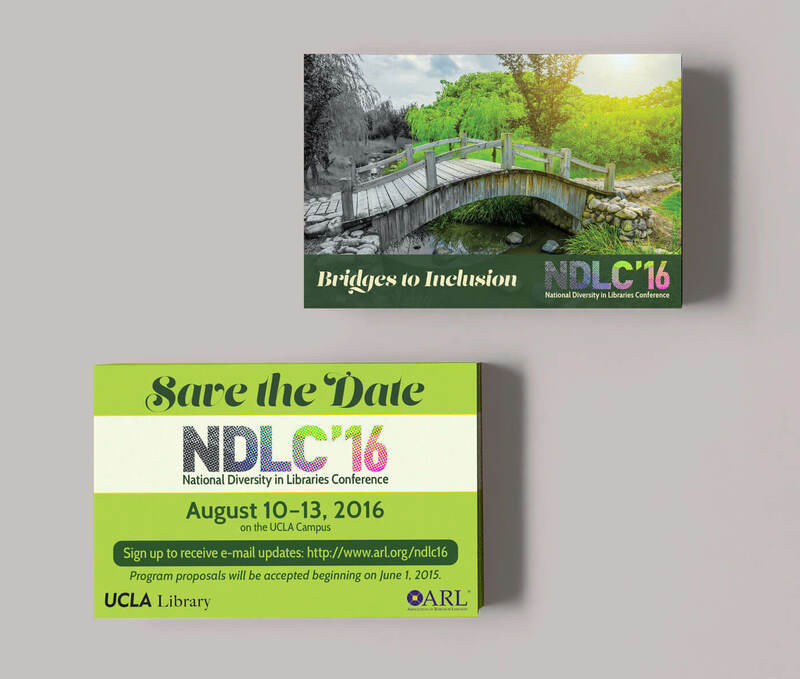 Logo and pre-conference materials for the National Diversity in Libraries Conference. 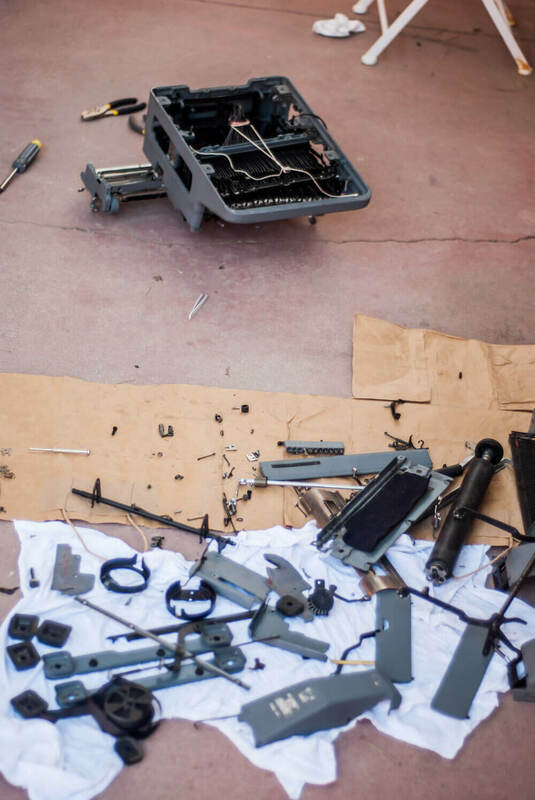 Mold and water damage removal along with color restoration. 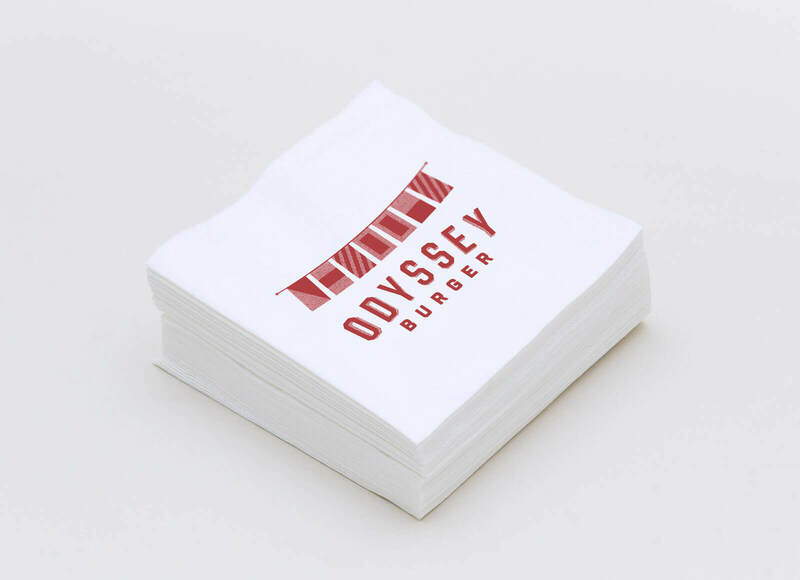 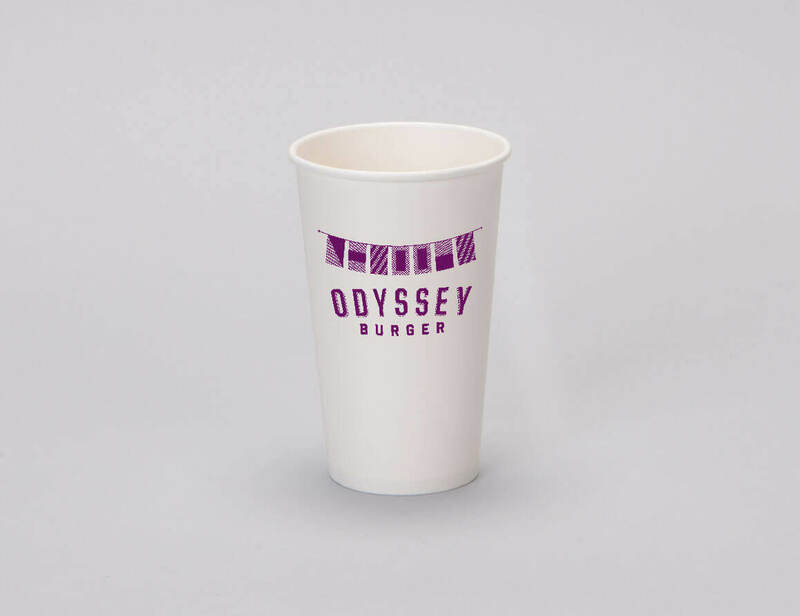 Unused branding for a international-themed burger restaurant in Washington, DC. 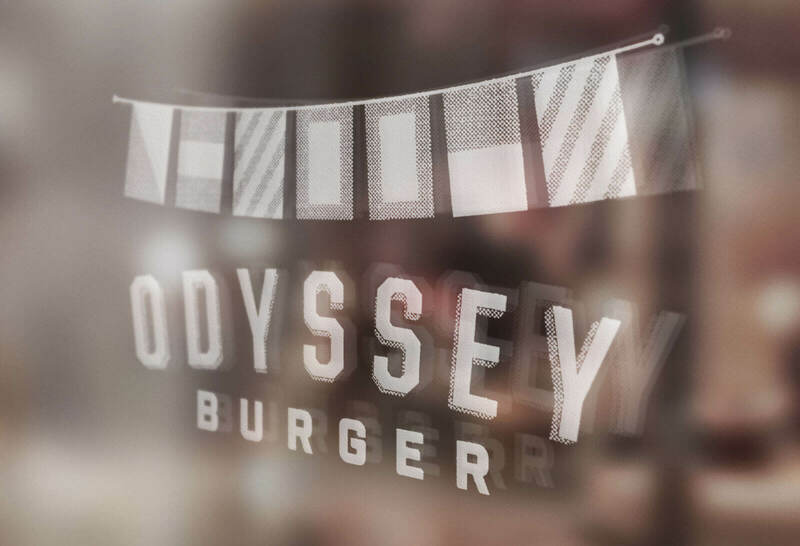 The flags spell out “ODYSSEY” in the Nautical Flag Alphabet. 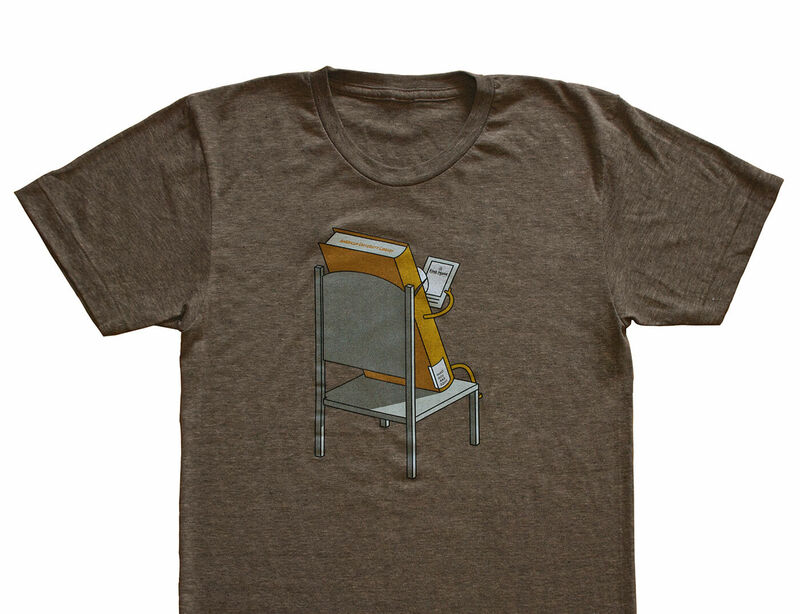 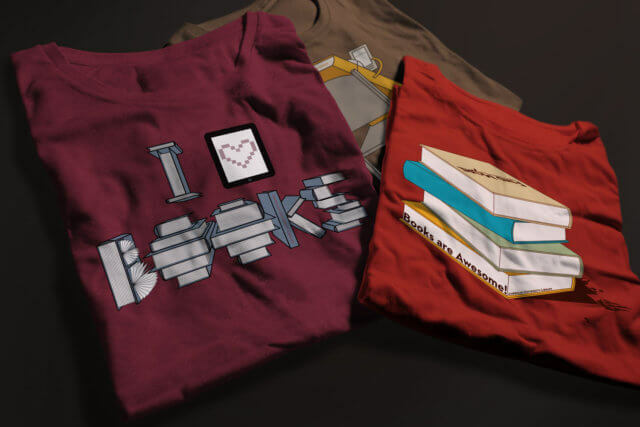 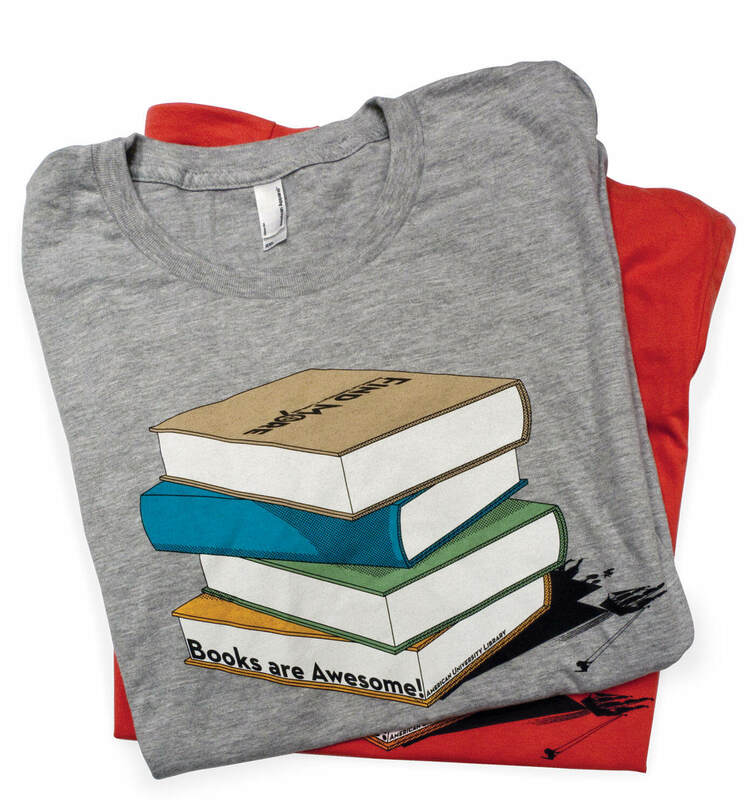 Illustrations and print buying of promotional t-shirts designed with library-themed illustrations. 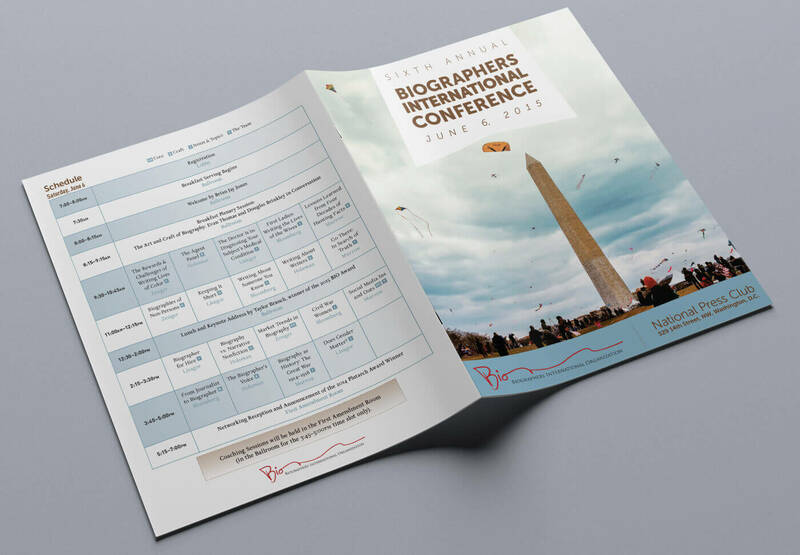 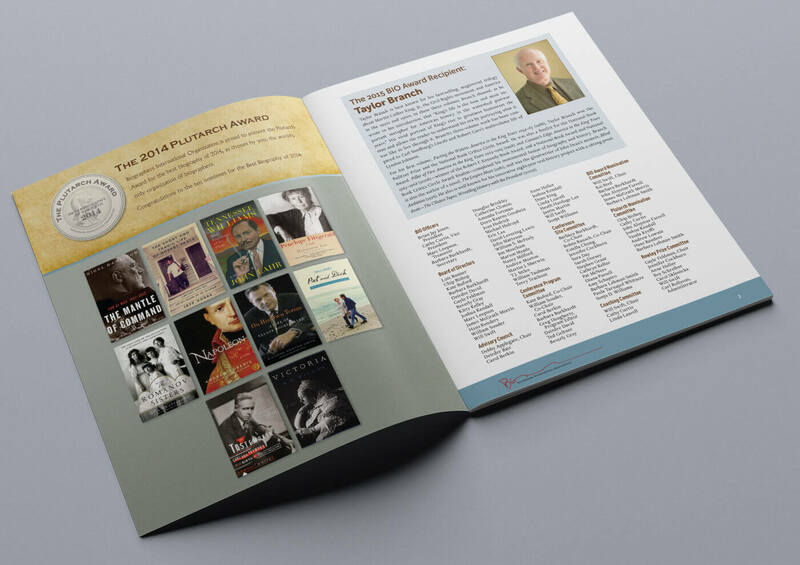 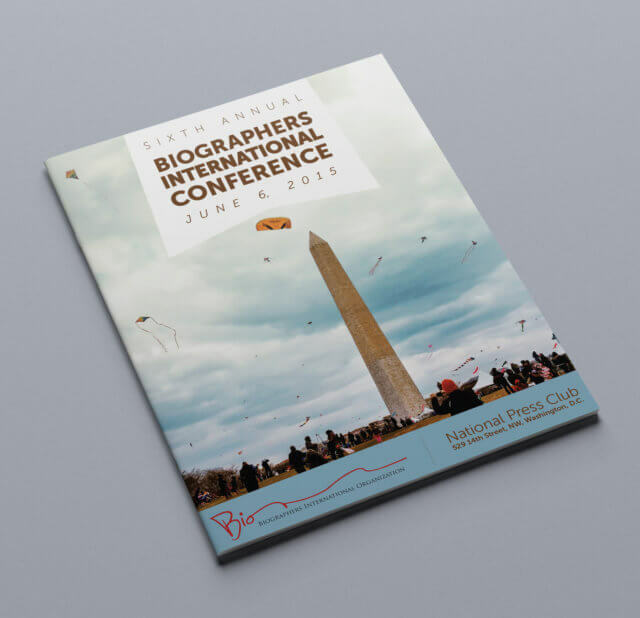 20 page, saddle-stiched program for Biographers International&#8217;s annual conference held in Washington, DC. 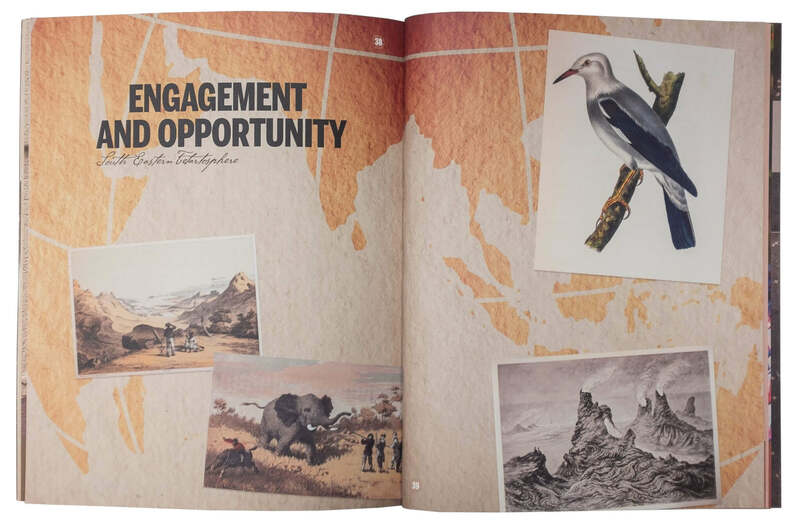 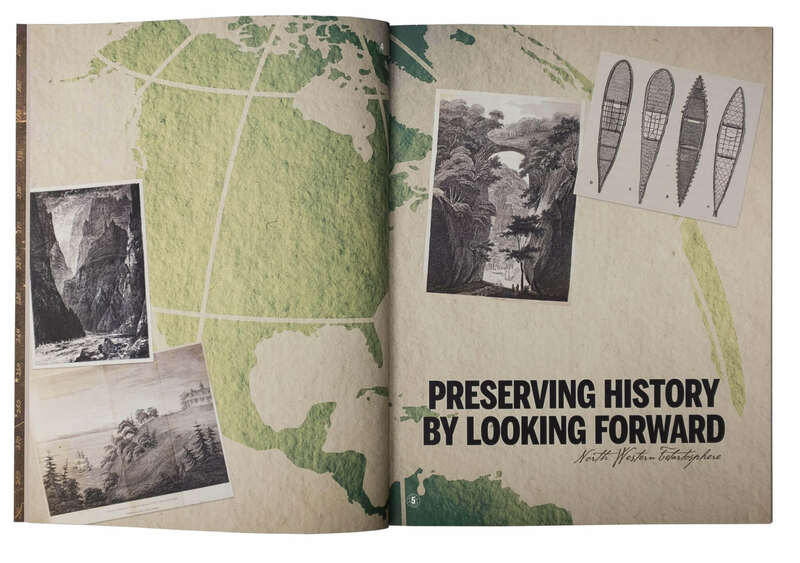 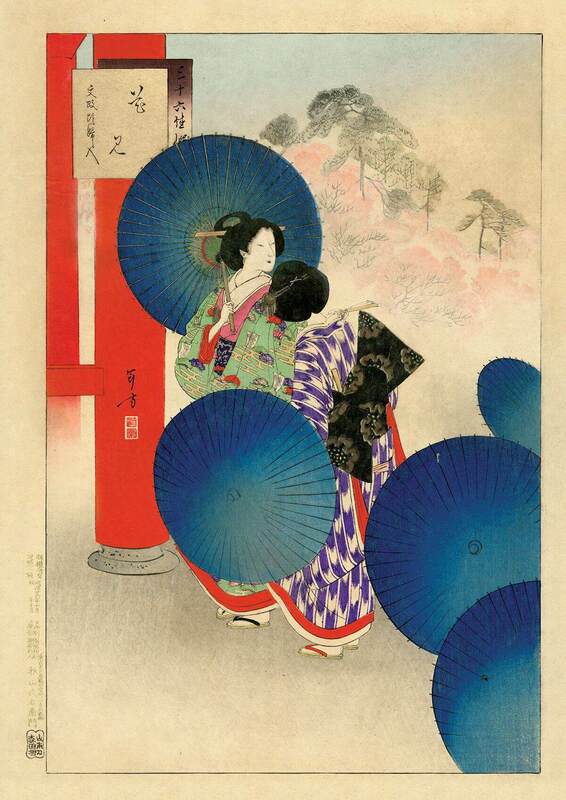 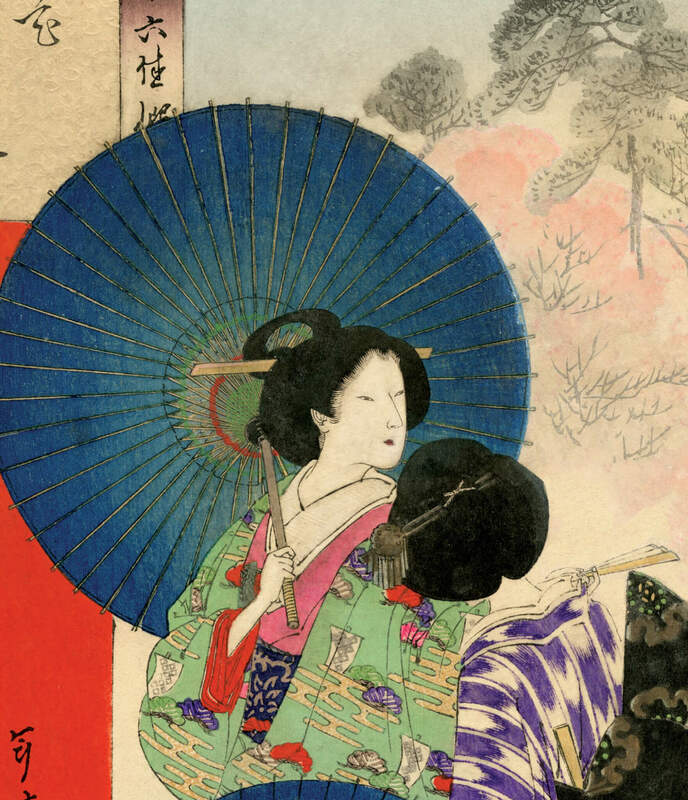 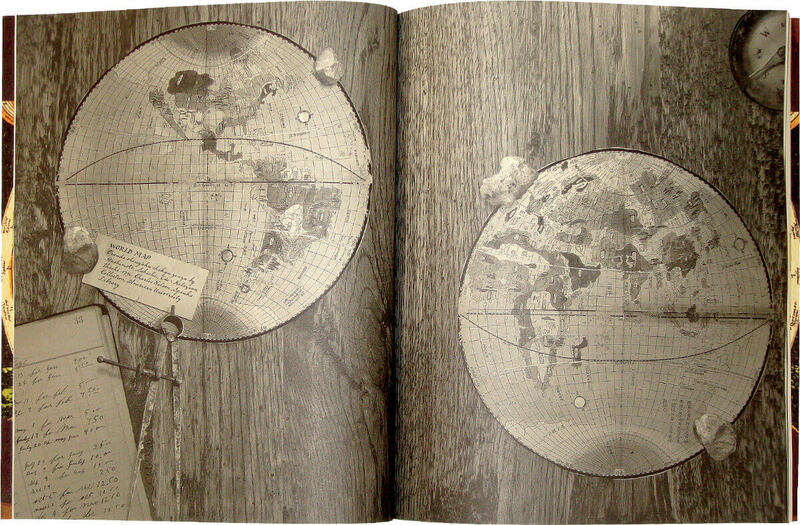 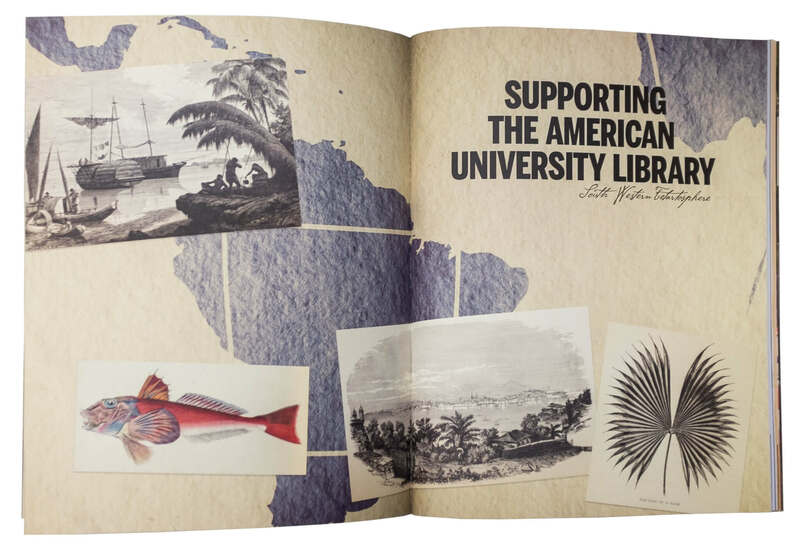 The annual report features exploration-themed images from the library’s special collections. 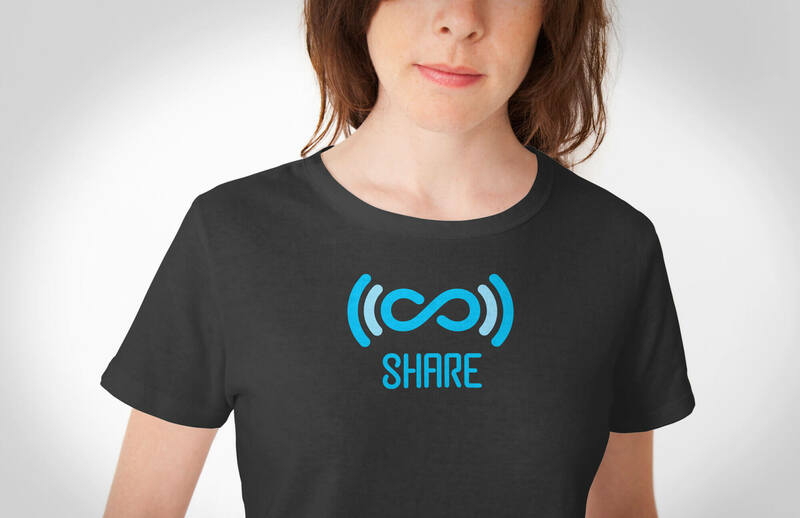 Logomark and wordmark for SHARE, a higher education and research community initiative to ensure the access to, preservation, and reuse of research. 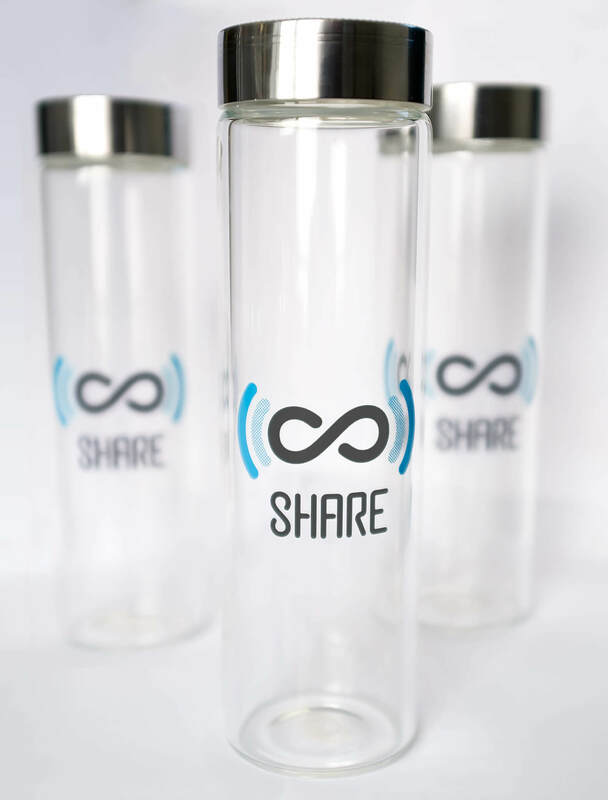 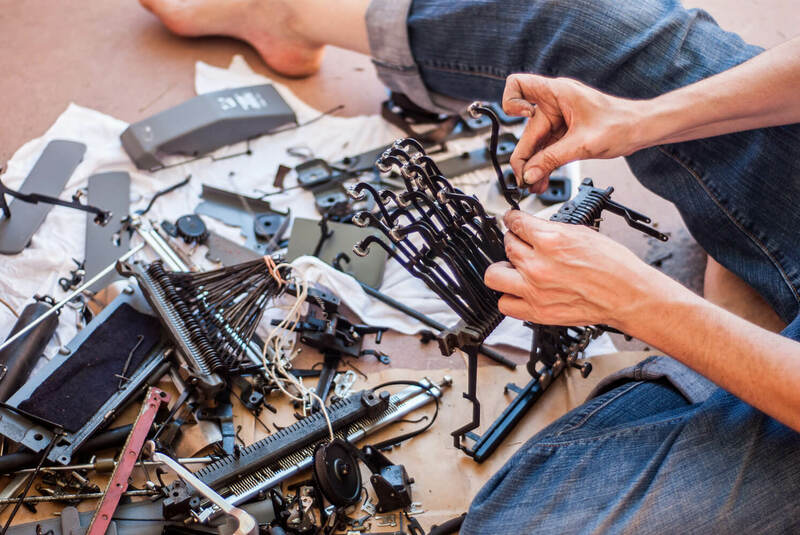 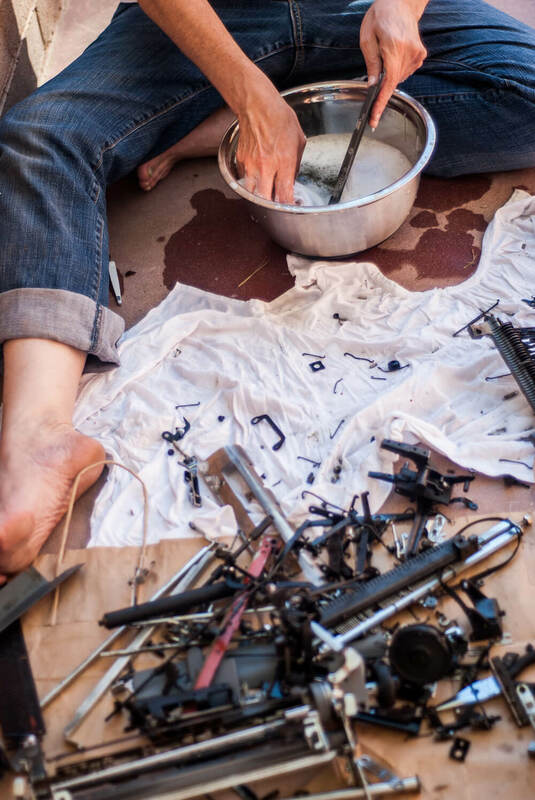 SHARE works to make the inventory of research more discoverable and more accessible, and to enable the research community to build upon these assets in creative and productive ways. 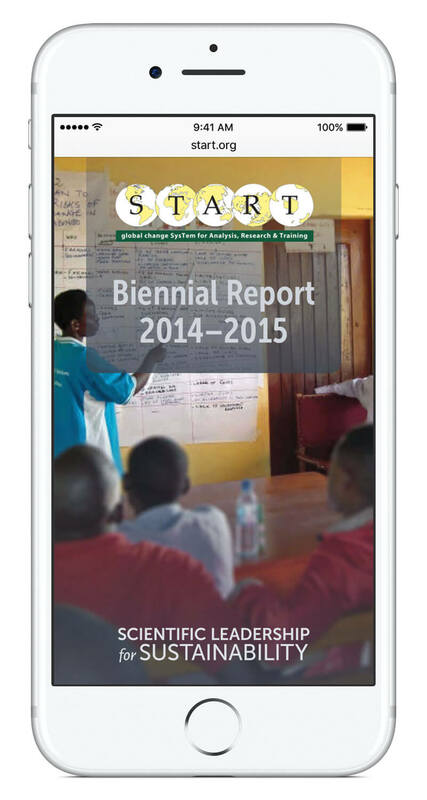 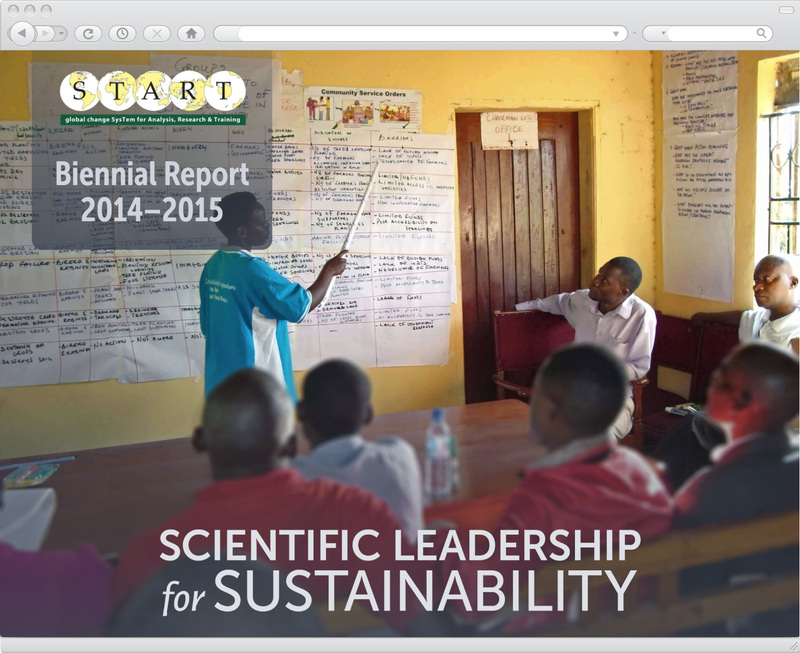 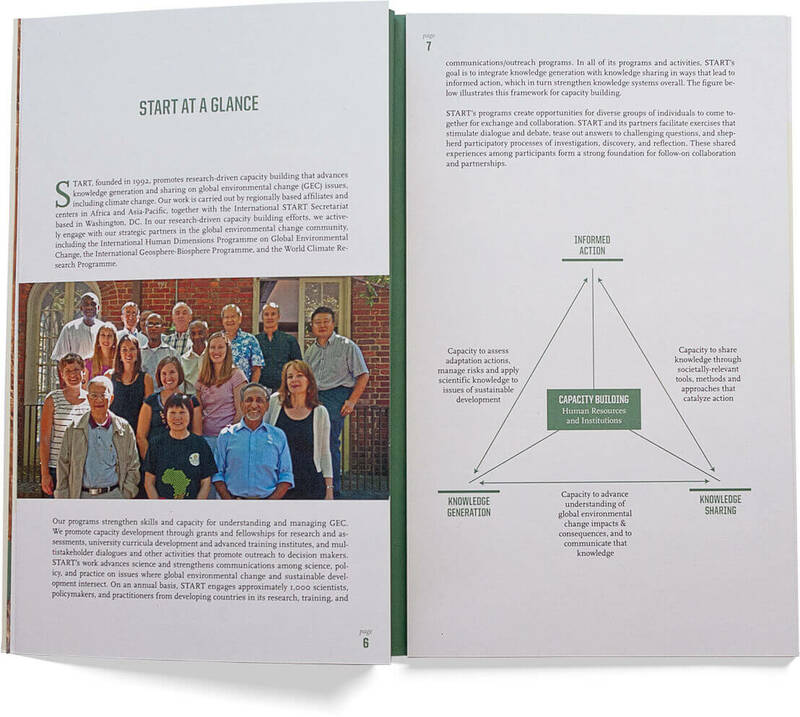 Biennial Report layout for International START Secretariat. 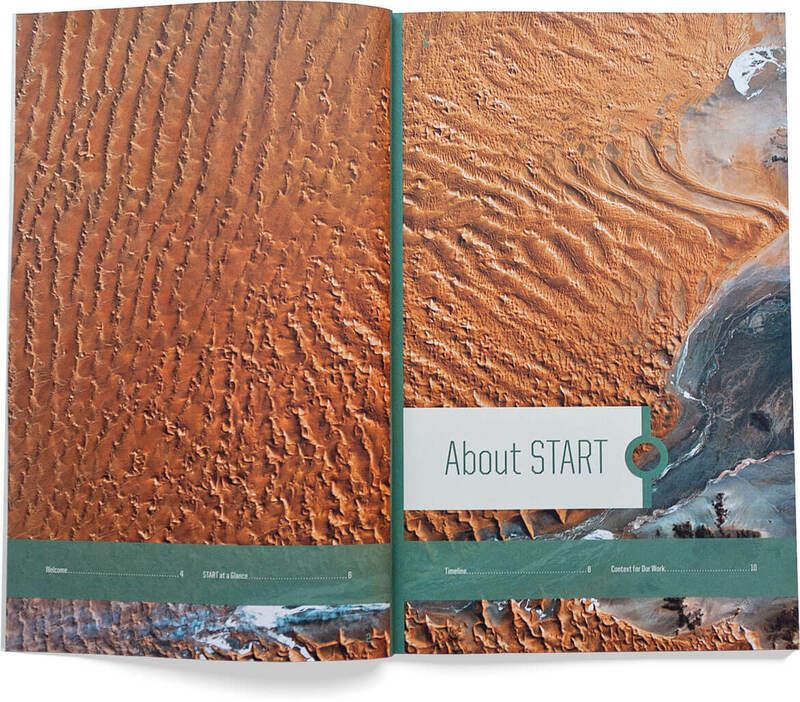 START is an environmental change research nonprofit in Washington, DC. 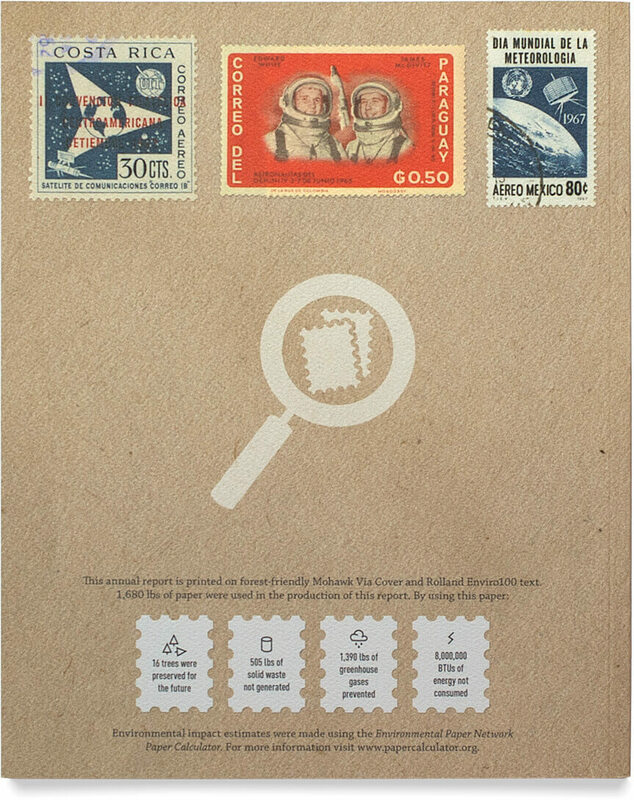 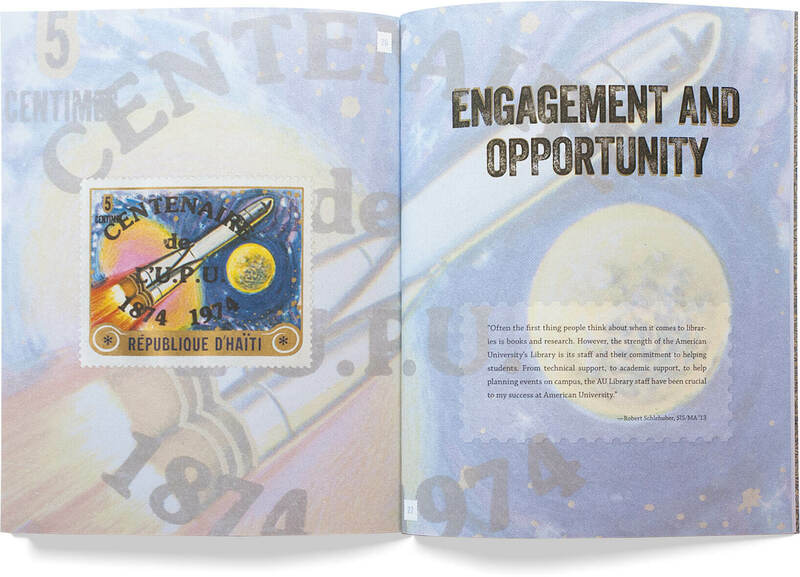 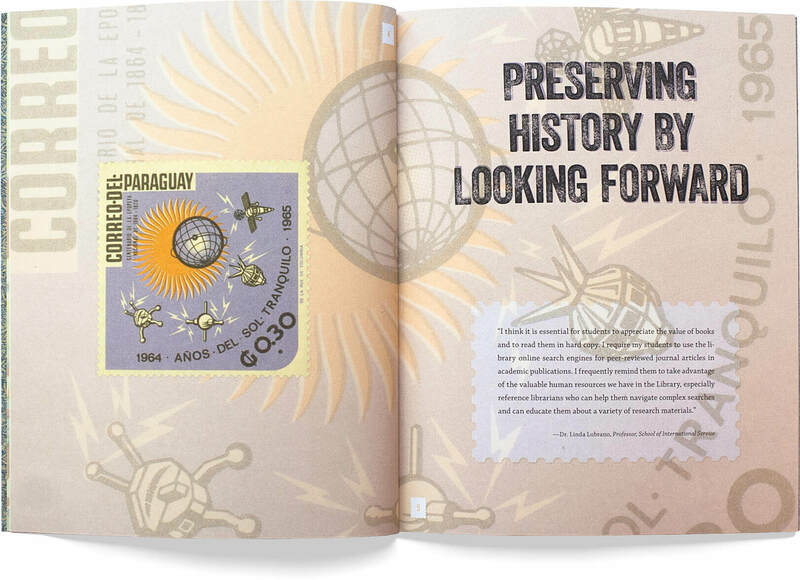 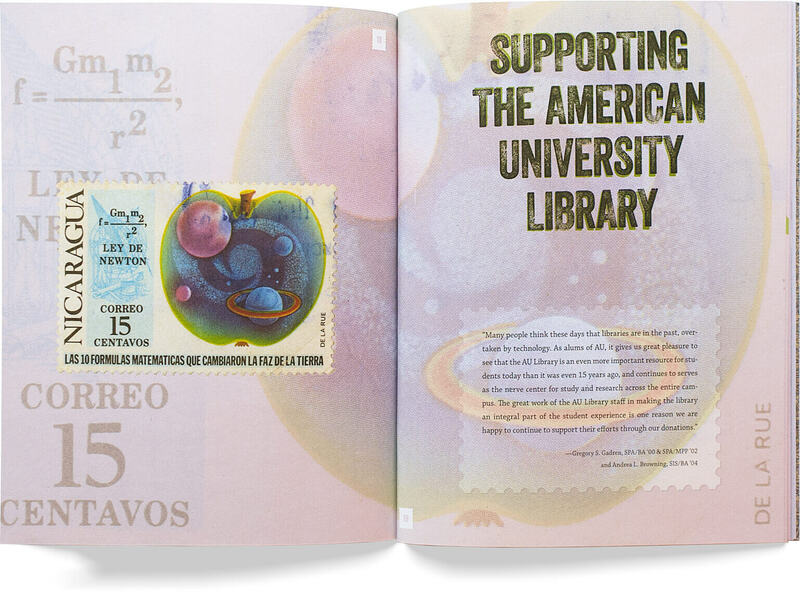 The annual report features space-themed stamps from the library&#8217;s special collections. 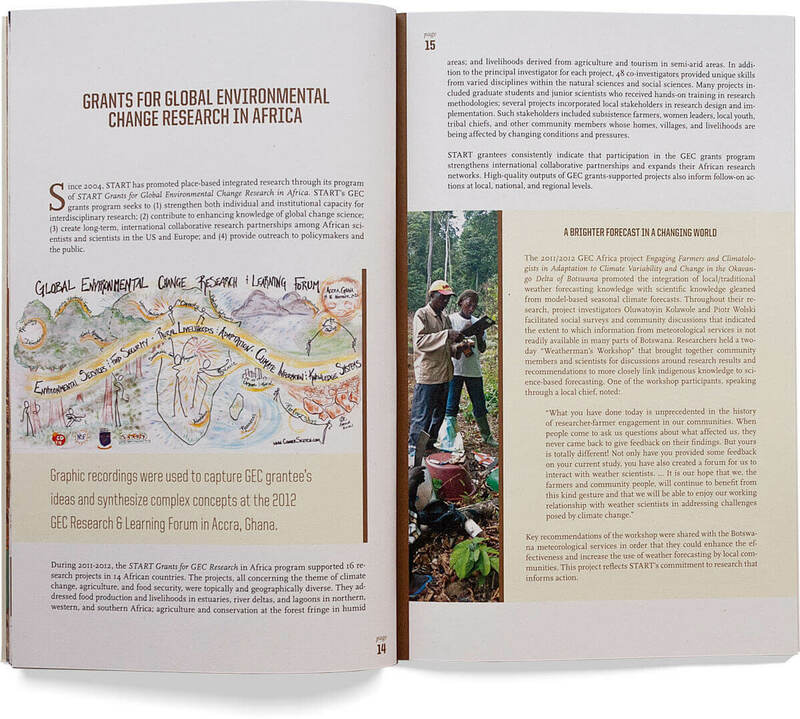 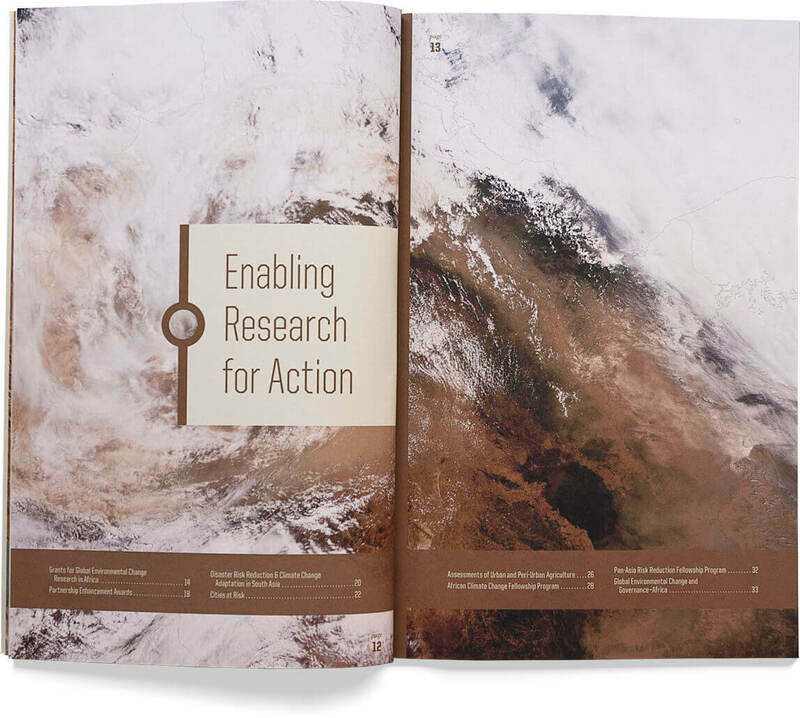 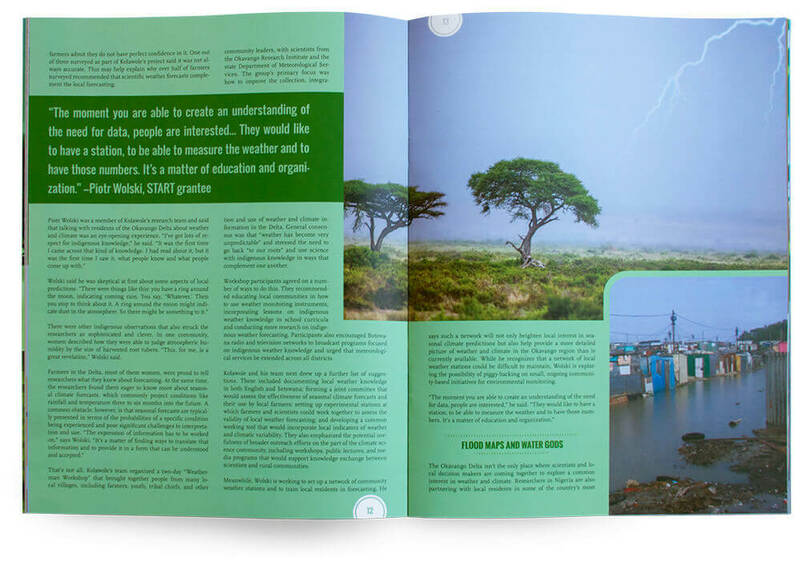 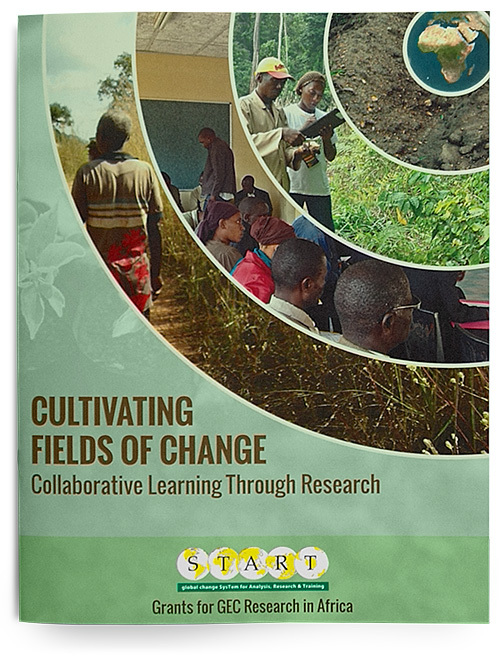 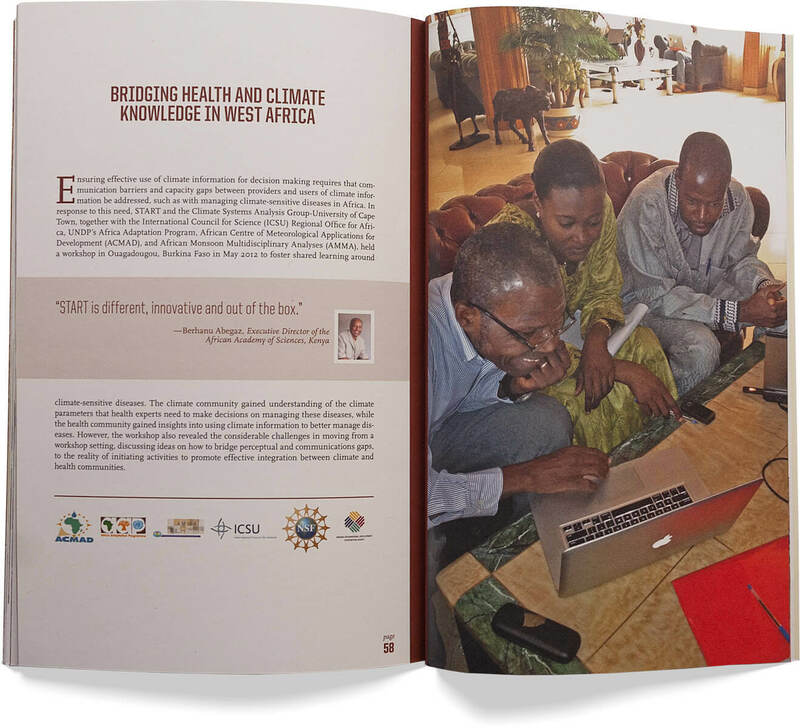 global environmental change research the nonprofit funded in Africa. 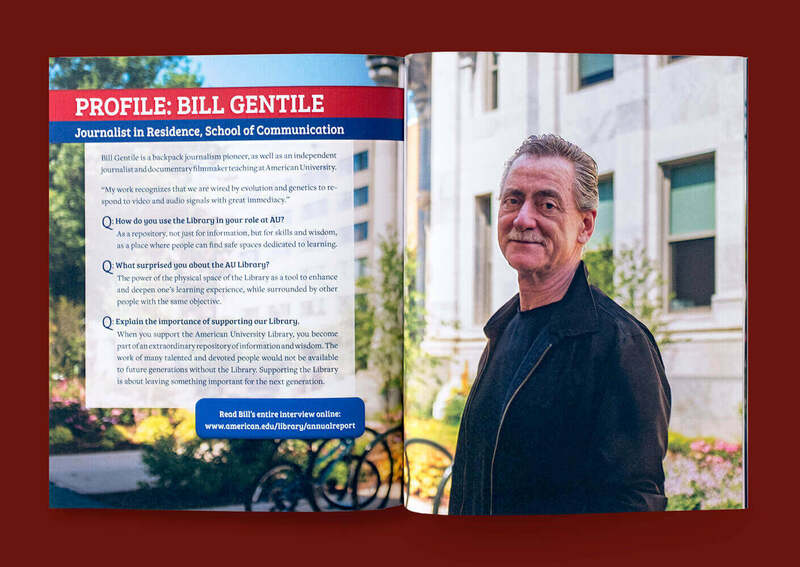 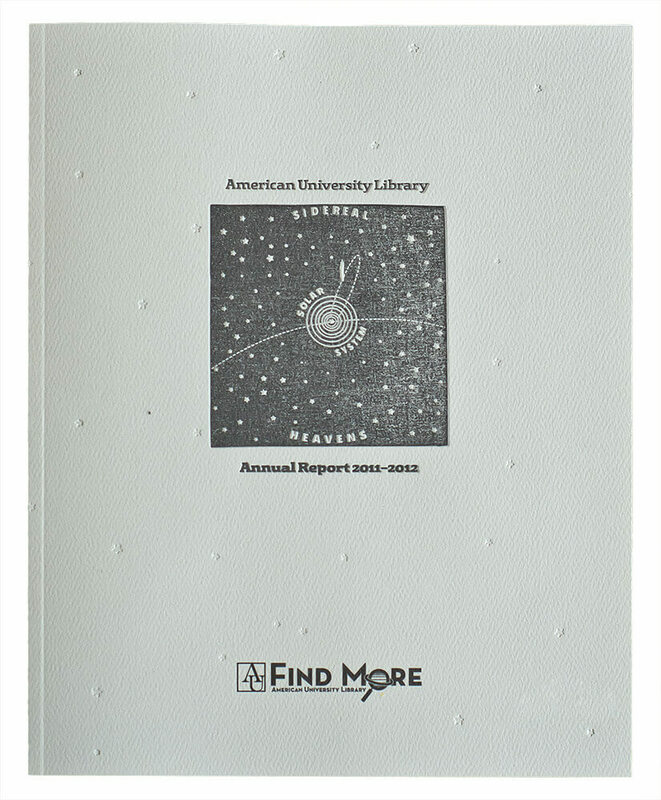 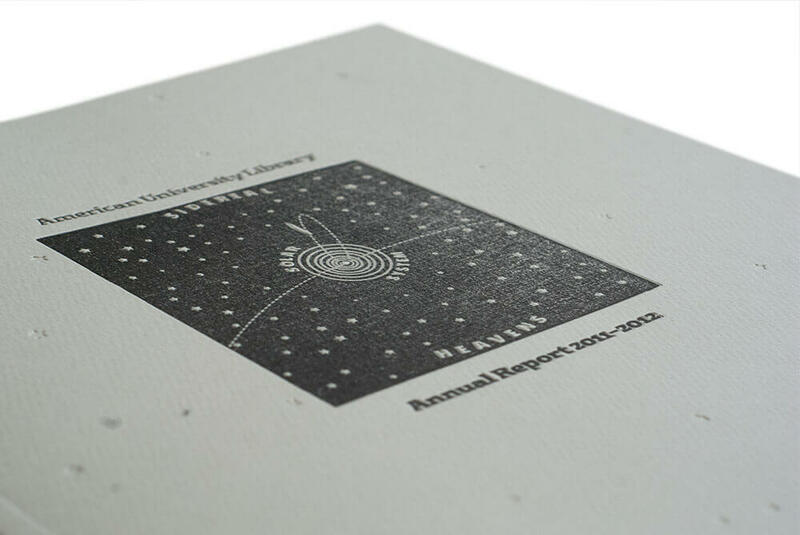 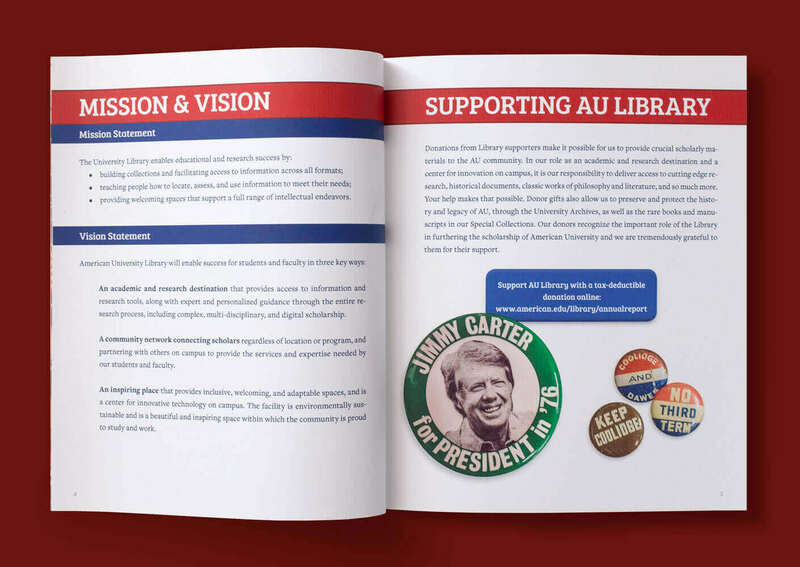 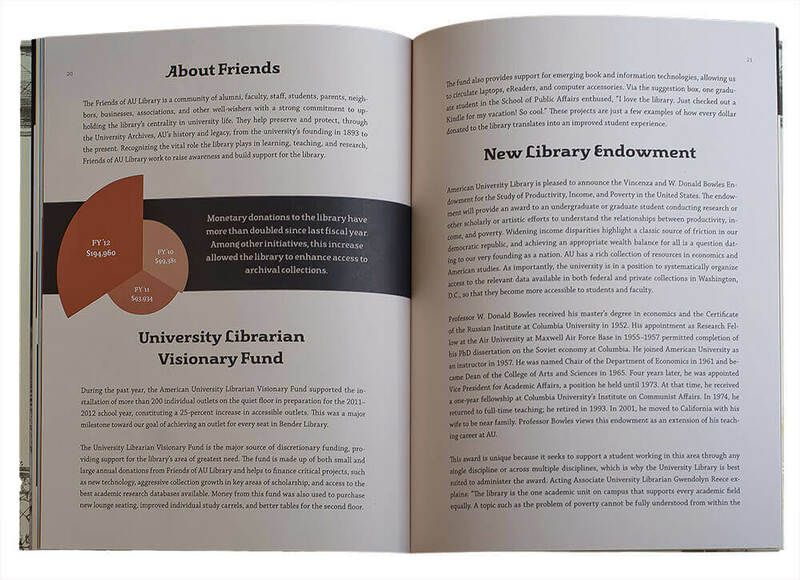 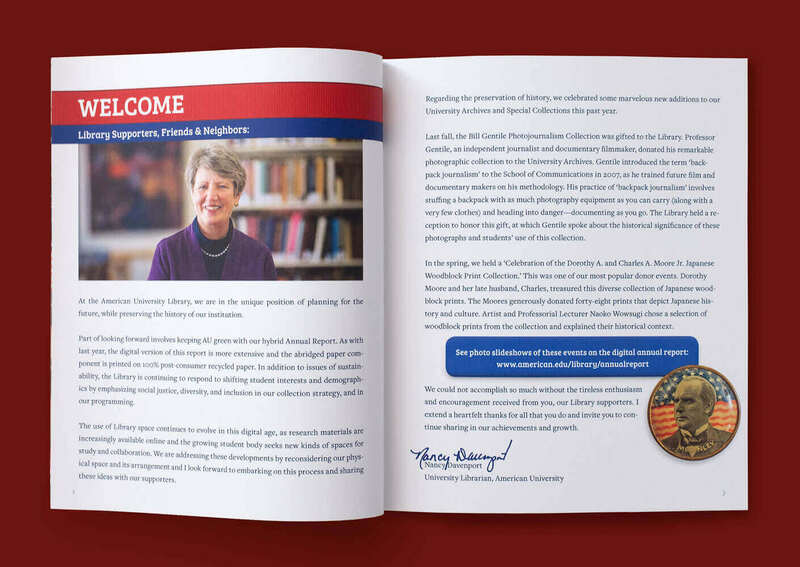 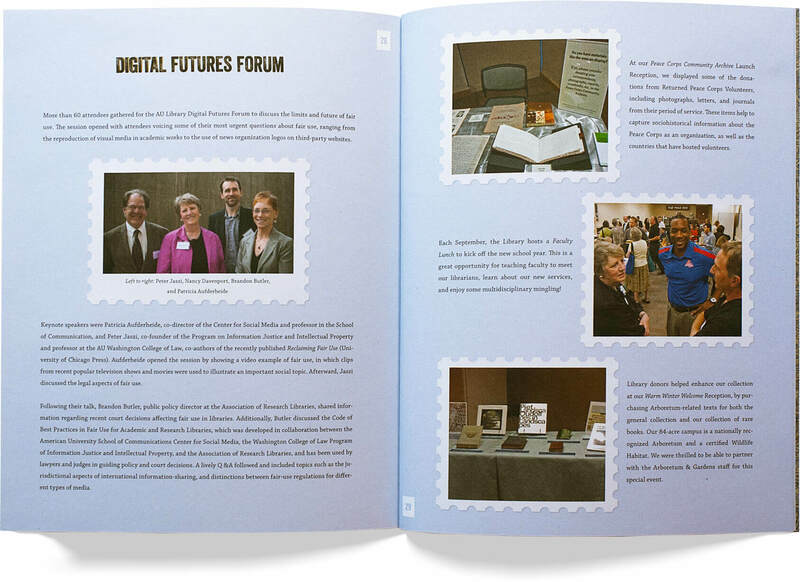 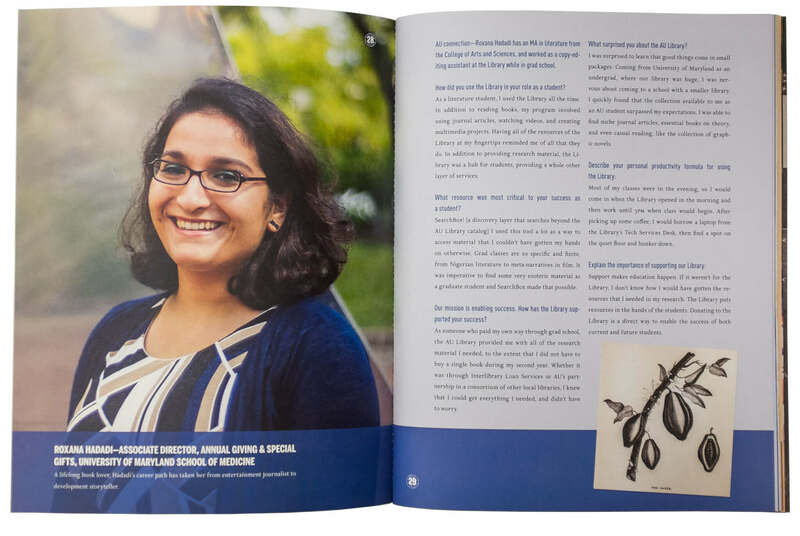 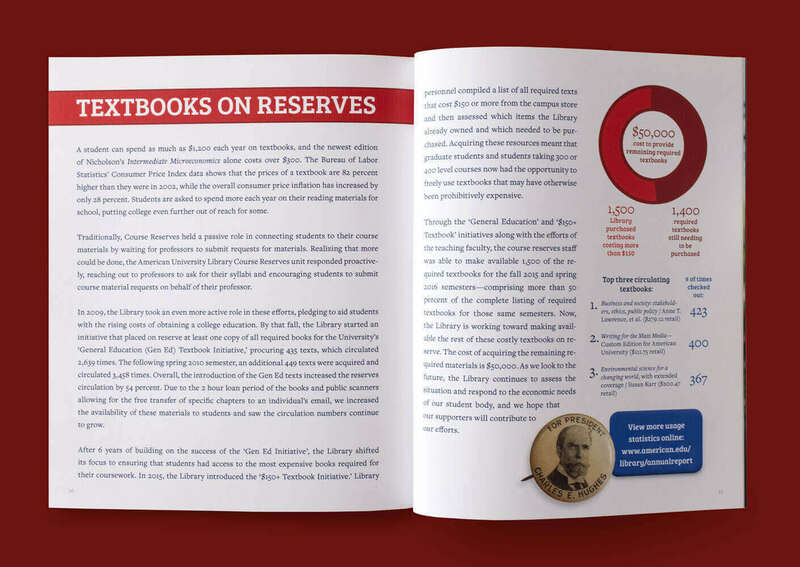 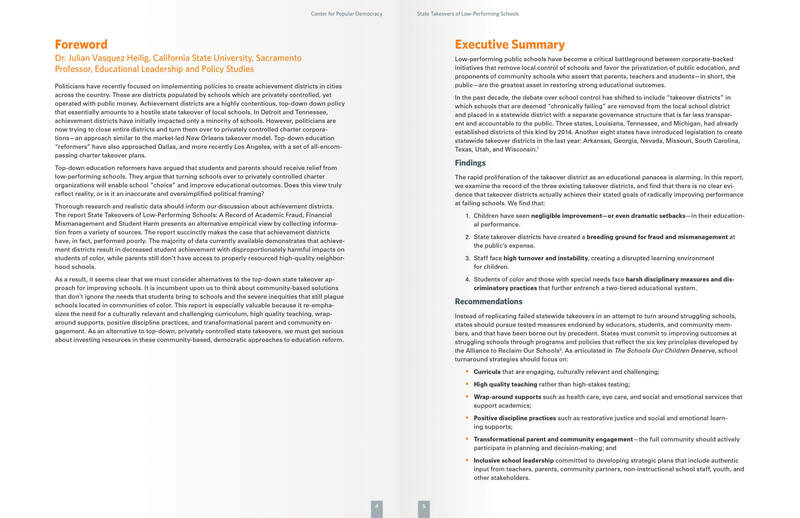 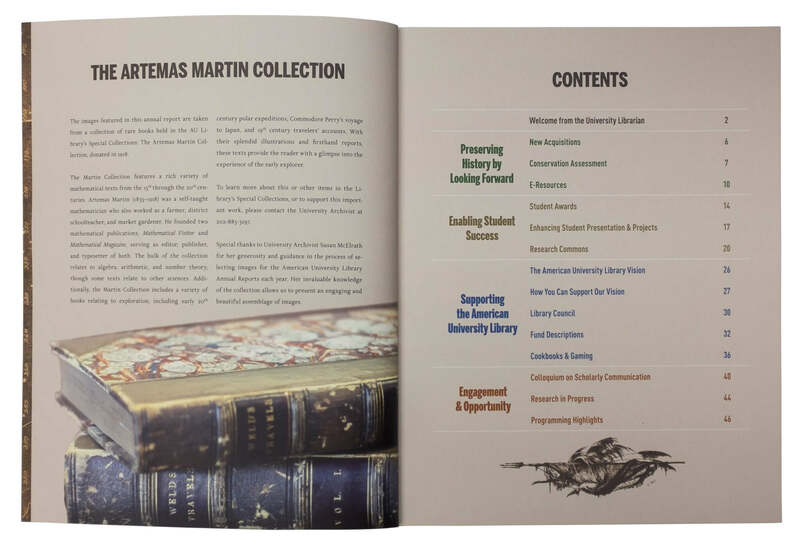 The annual report serves as American University Library’s main development piece. 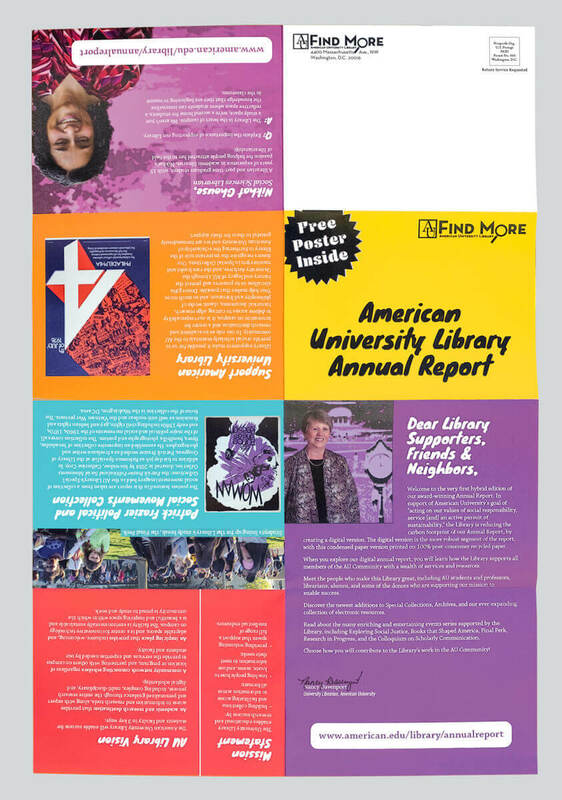 For maximum effectiveness, it fulfills two roles: 1) a celebration of the previous year’s accomplishments and 2) a vehicle to highlight a unique aspect of the library’s special collections. 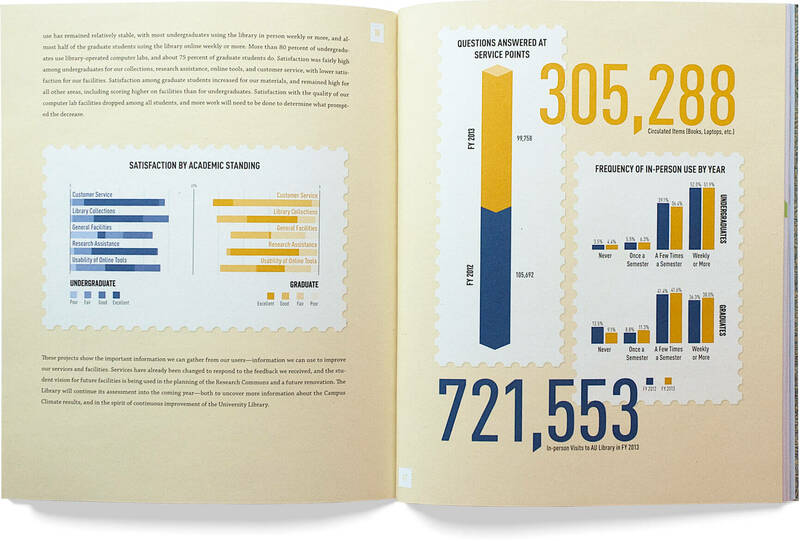 Public Knowledge wanted a design that drew inspiration from the title of their new project, The Internet Blueprint. 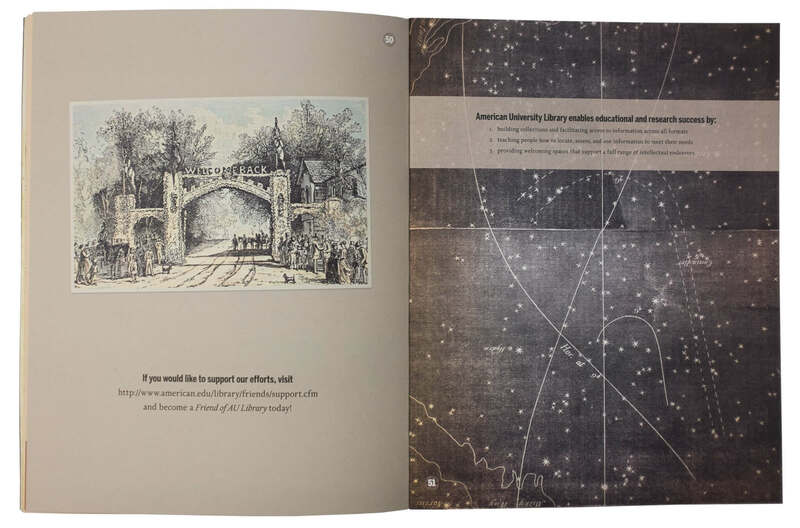 We loved the idea of having a rich blue palette that mimics architectural blueprints and a way to allude to the idea that each new initiative creates a fuller picture of internet policy. 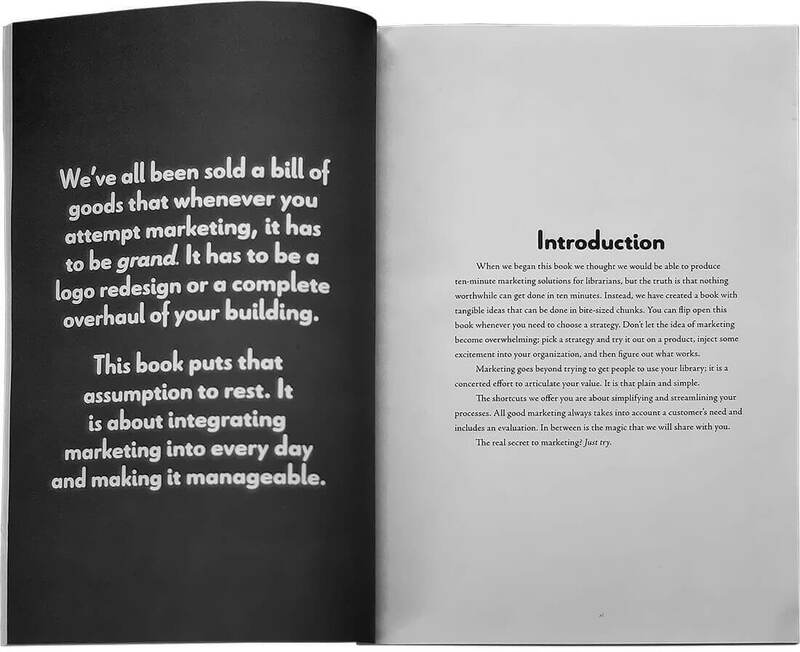 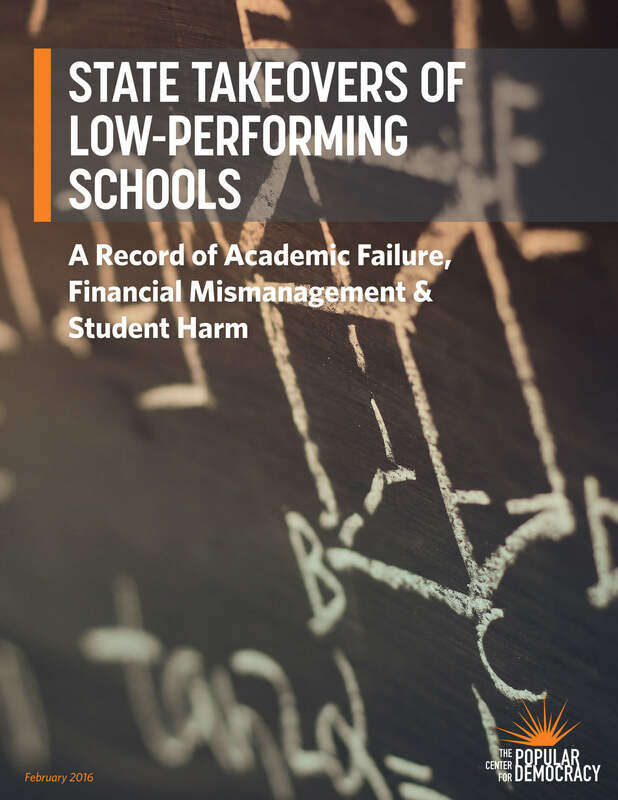 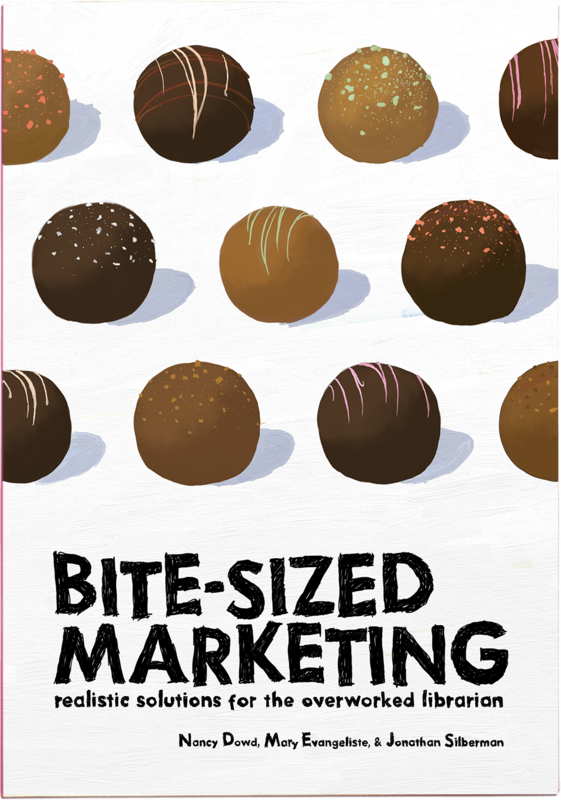 In addition to writing Bite Sized Marketing, published by the American Library Association, we also designed the cover and interior. 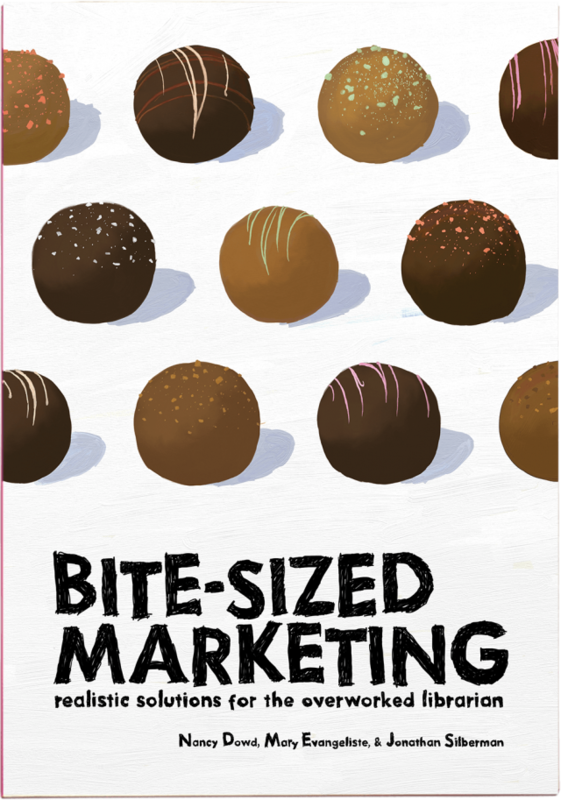 Drawing inspiration from the name of the book as well as the idea that it is meant to be used as needed rather than read cover to cover, we illustrated rows of “bite-sized” chocolates in the style of Wayne Thiebaud. 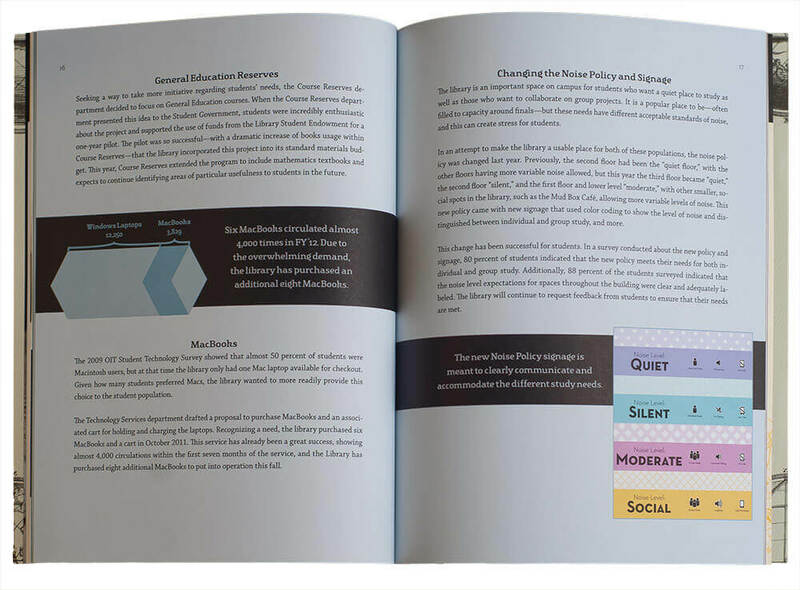 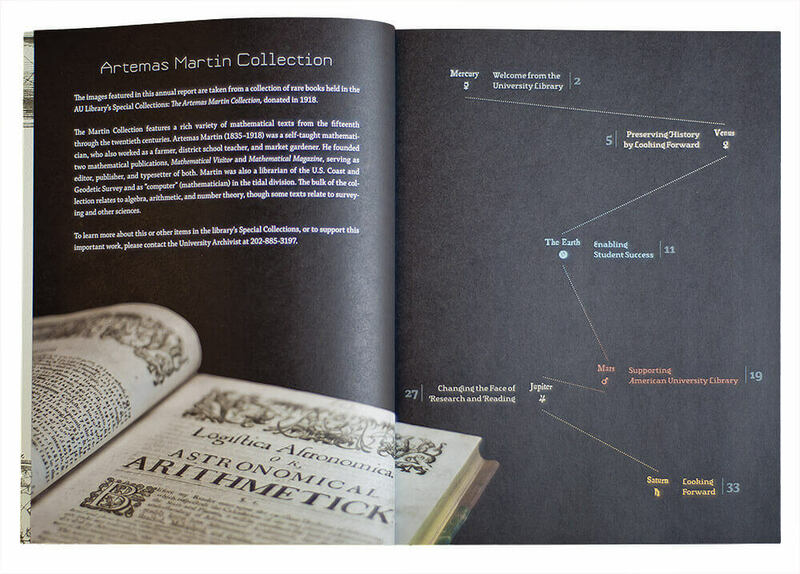 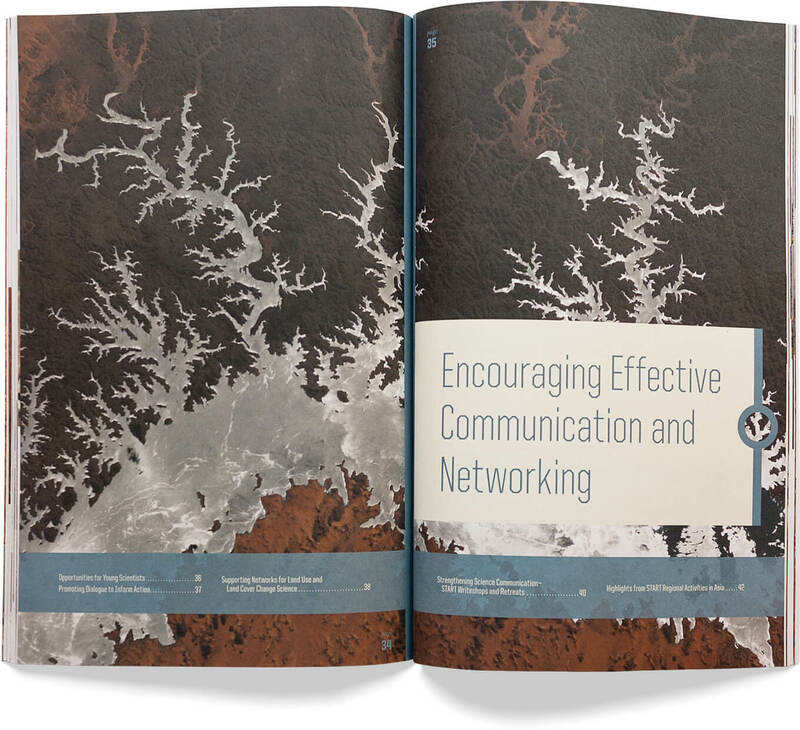 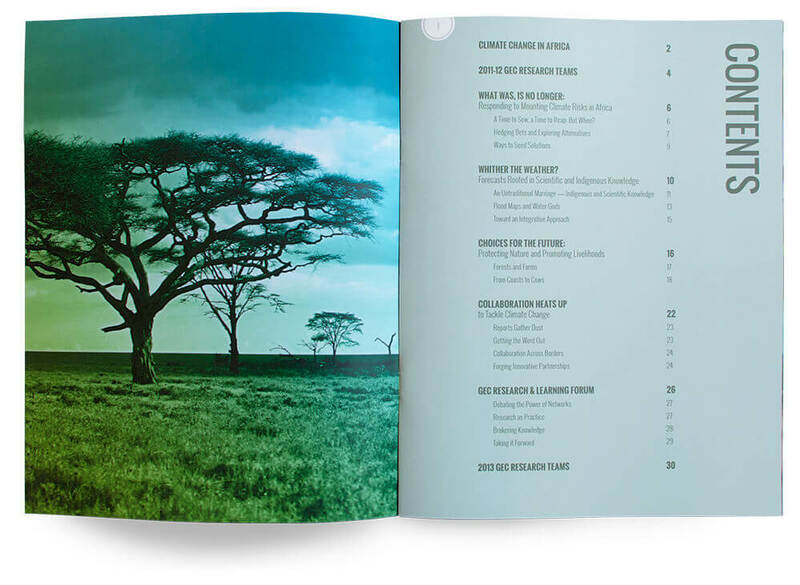 For the inside, we focused on defining a clear hierarchy within the constraints of single color printing. 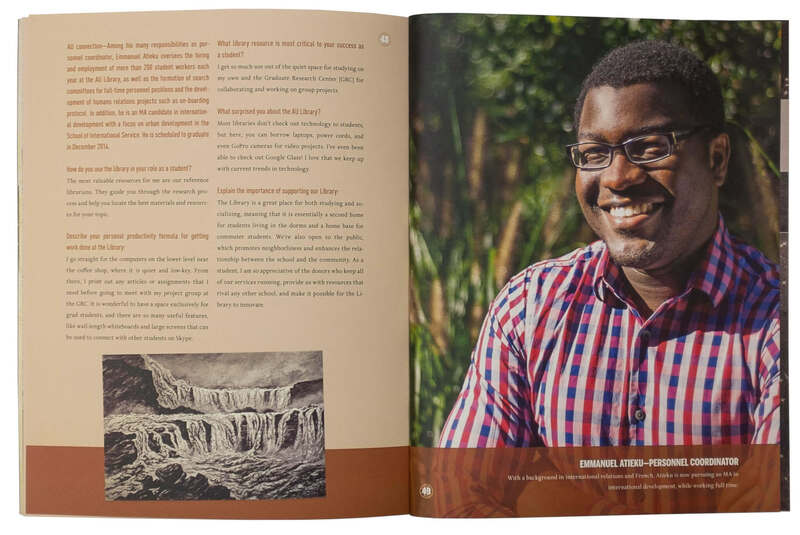 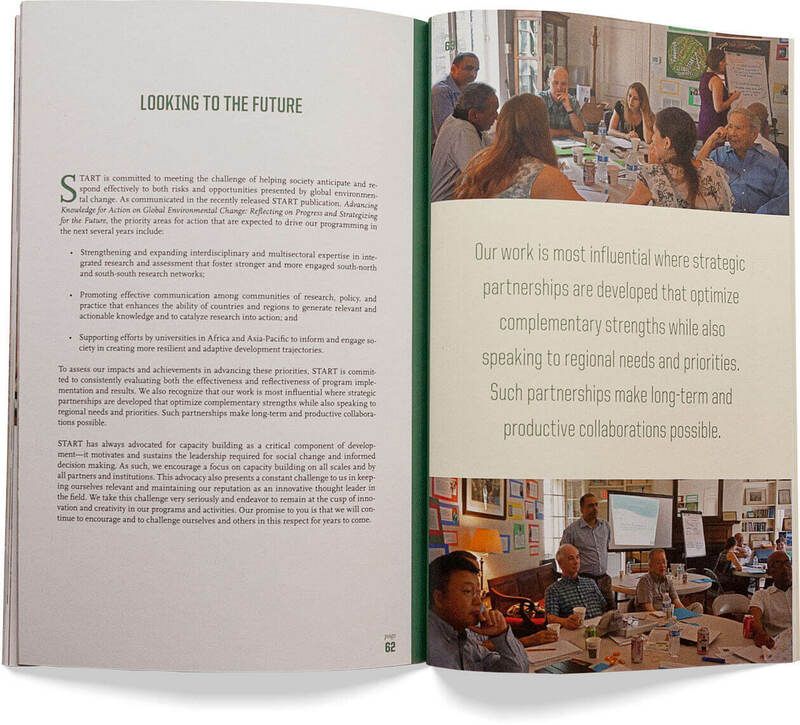 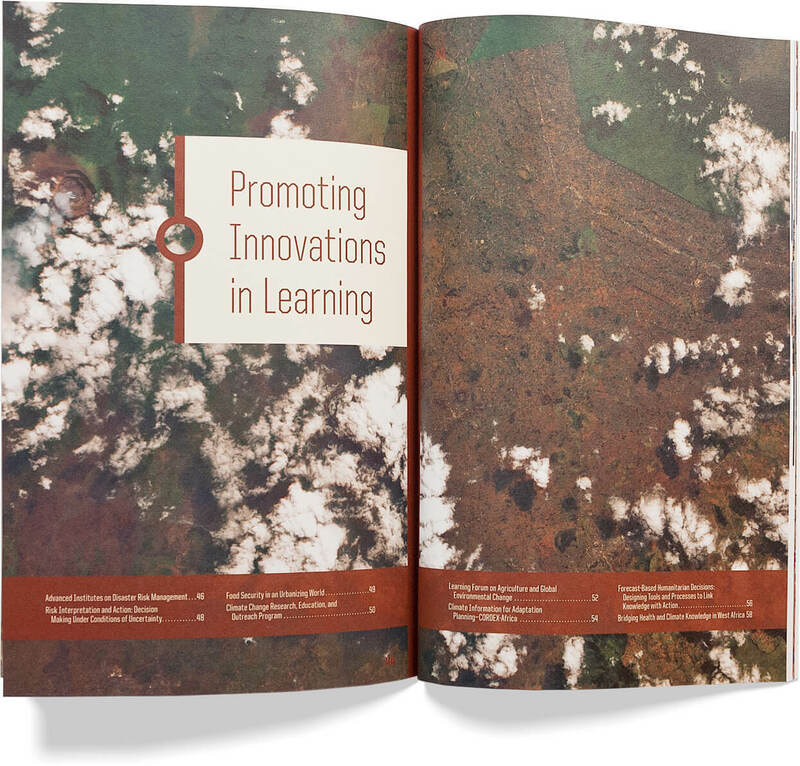 We created a clean, inviting, and bright annual report for LearnServe International using images from their service learning trips around the world and their social incubator program in Washington, DC. 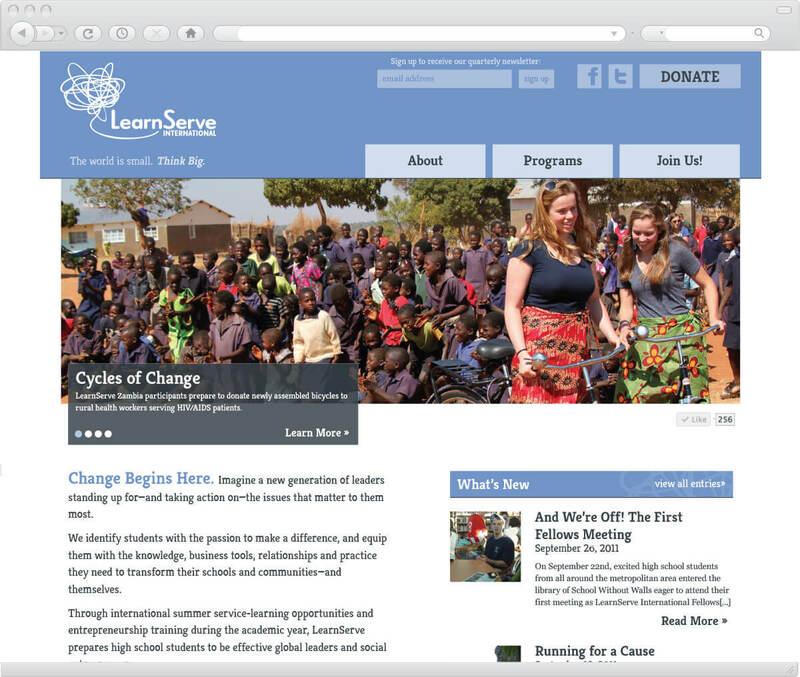 LearnServe International is a social entrepreneurship and service learning organization for high school students in the Washington, DC area. 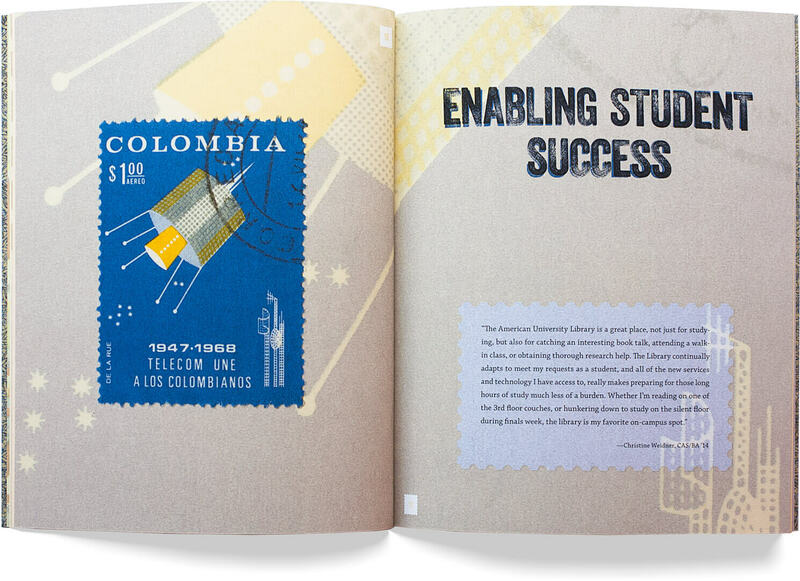 Our goal for the logo was to visualize the energy present at the creation of an idea. 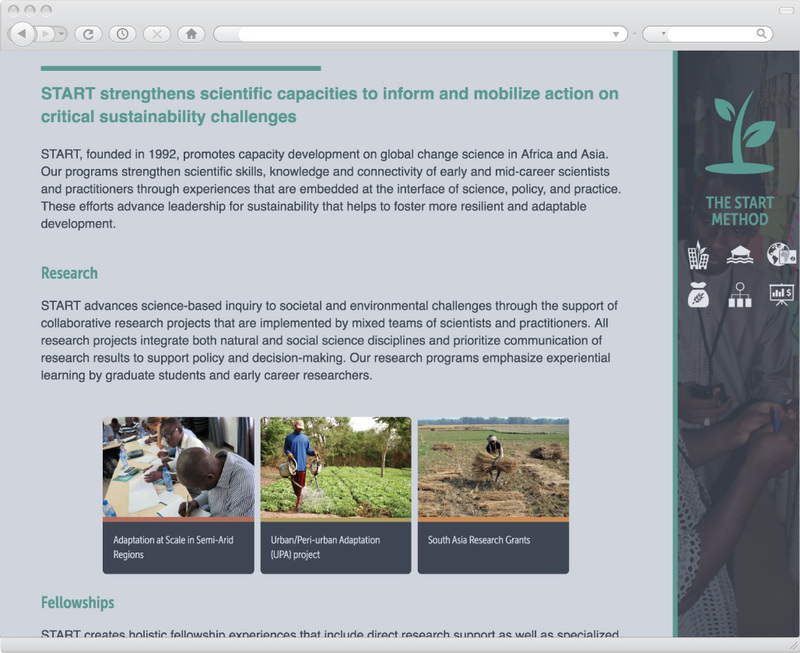 LearnServe International’s website needed a refresh to match the new logo we designed for them. 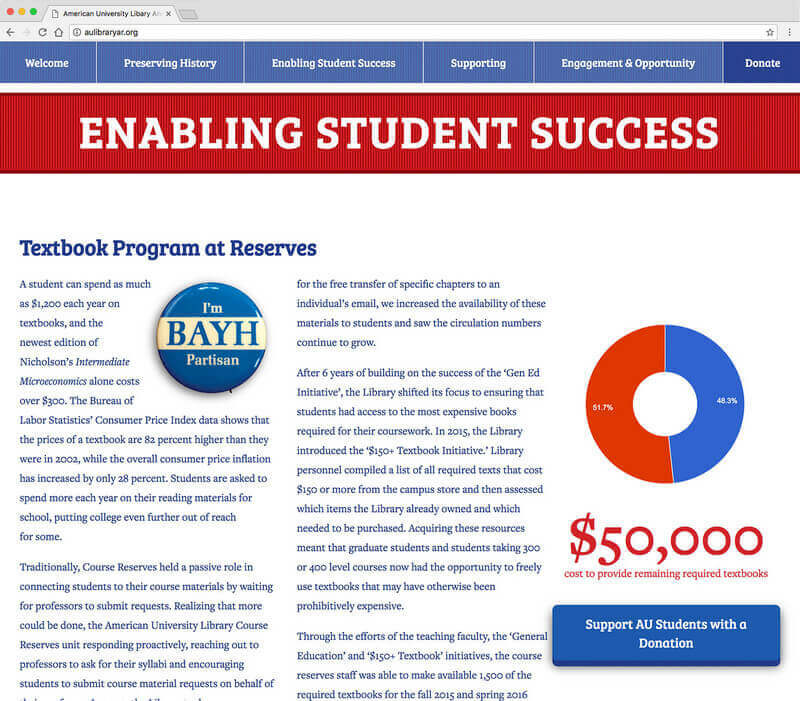 The new site not only has a bright and fresh design, but it allows them to easily update the content and reach their target audience more effectively. 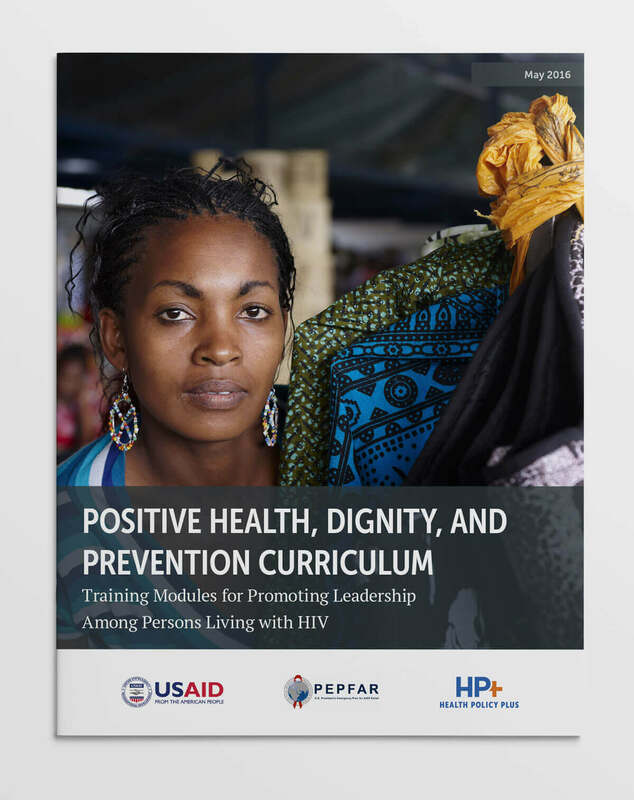 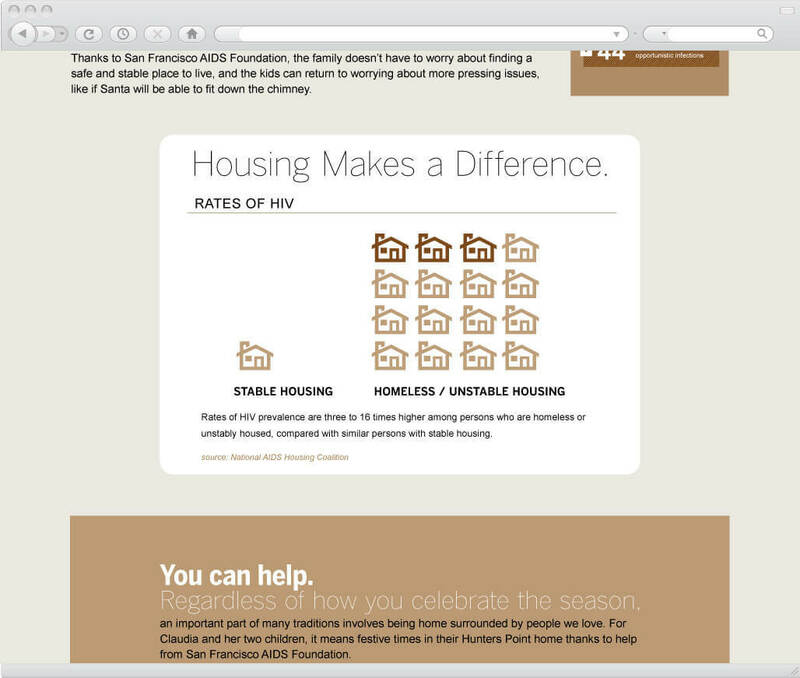 We worked with San Francisco AIDS Foundation to translate a design mockup into code and to optimize the layout to display properly on any size screen or device. 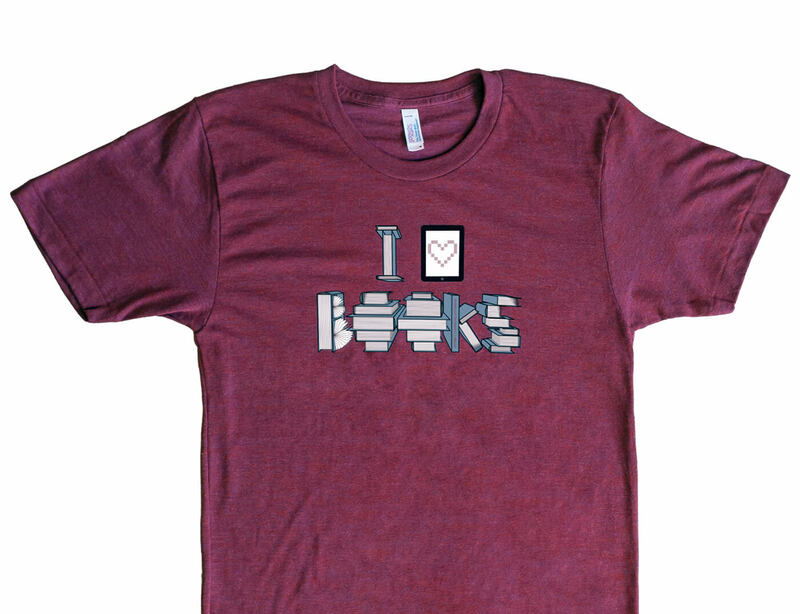 Design by Aaron Pedroza. 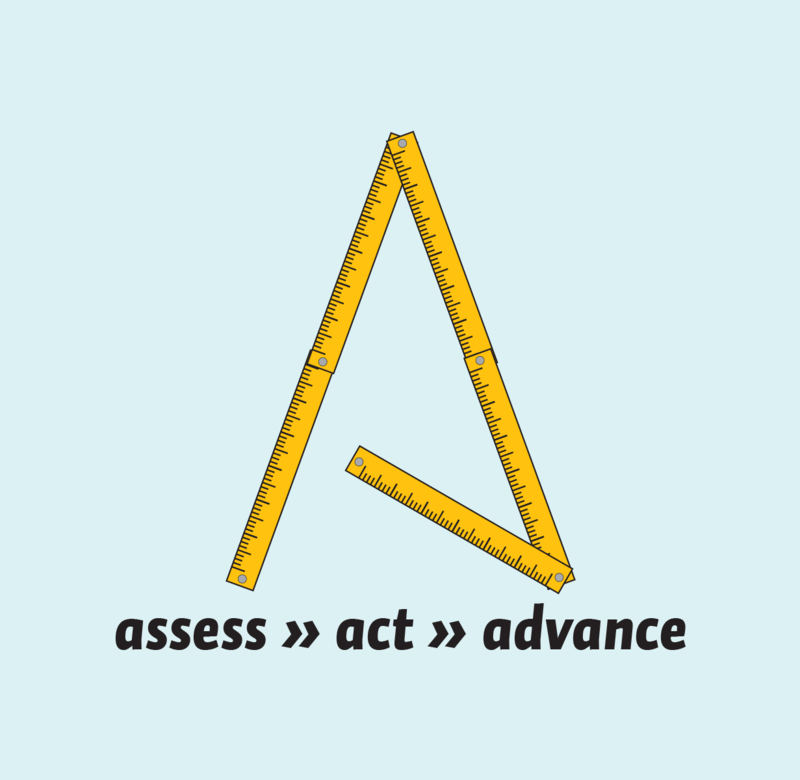 he Amigos Member Conference was all about measuring impact and assessing needs, so we developed a logo that visualized that in a fun and unexpected way. 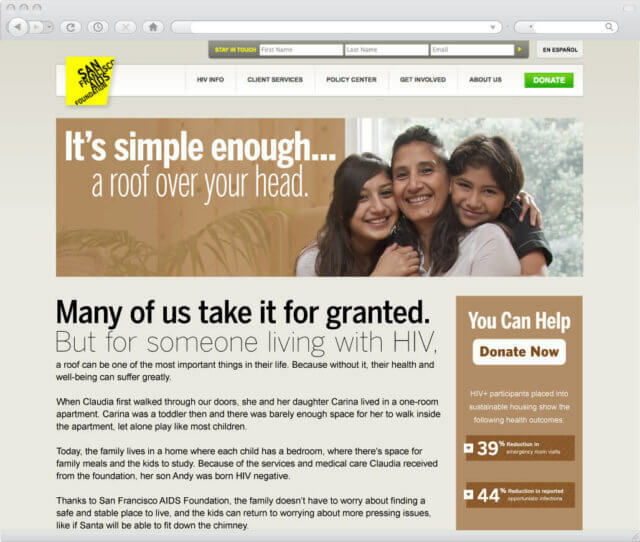 The digital year-end campaign for San Francisco AIDS Foundation (SFAF) focused on Claudia and the assistance she received for her family from the foundation. In telling her story, SFAF was able to show how donations directly impact the life of their clients. Components included a campaign landing page, email, and homepage feature image. 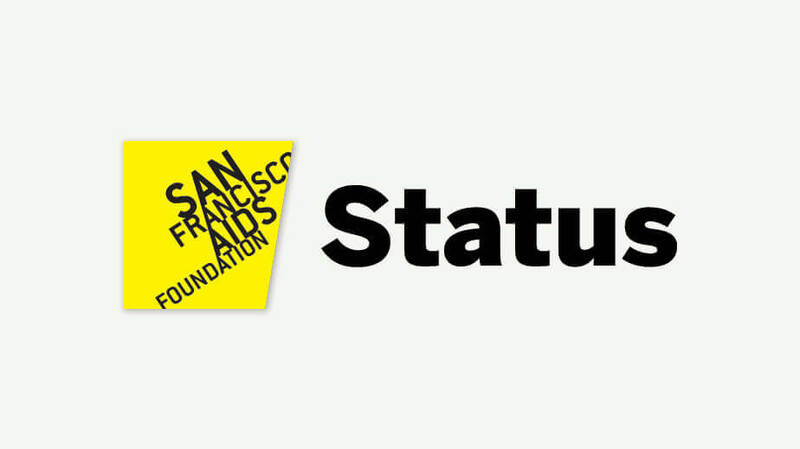 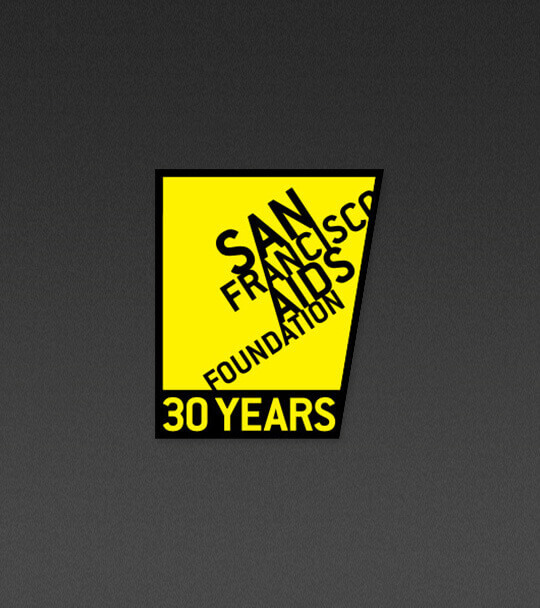 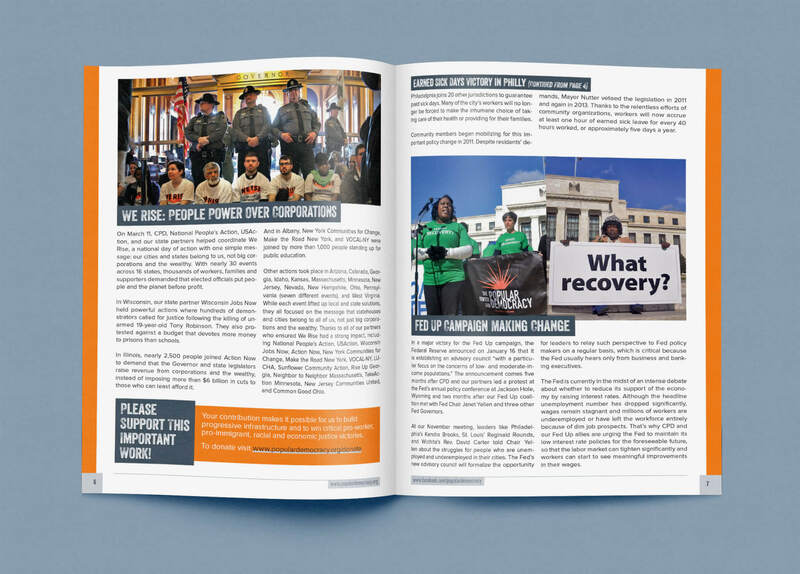 We have coded a number of e-newsletter templates for San Francisco AIDS Foundation (SFAF). 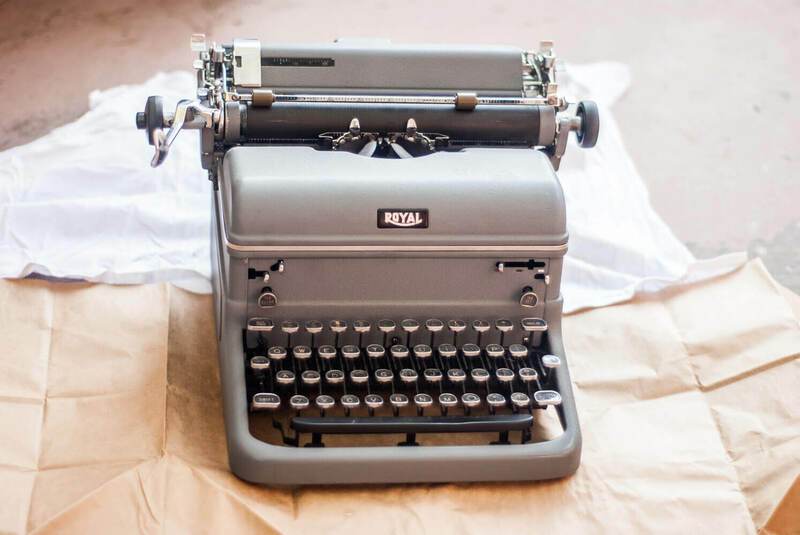 We code templates that allow SFAF staff to easily create polished and consistent emails. Design by Aaron Pedroza. 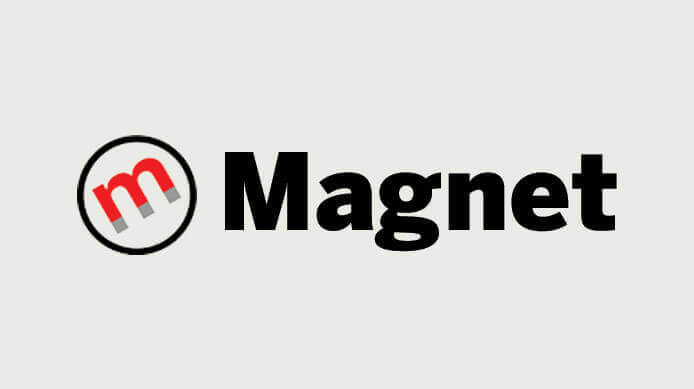 We coded a template for Magnet that allows their staff to create the email as if it were a webpage. 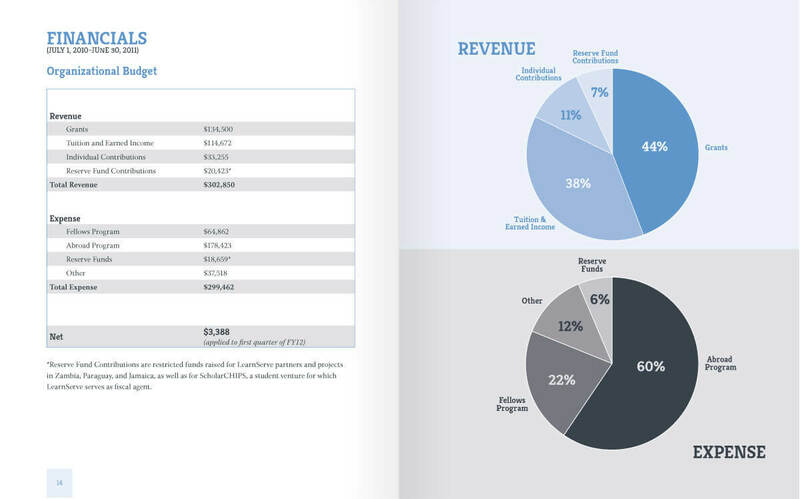 The resulting code can then be copied and pasted into their customer relationship management software. 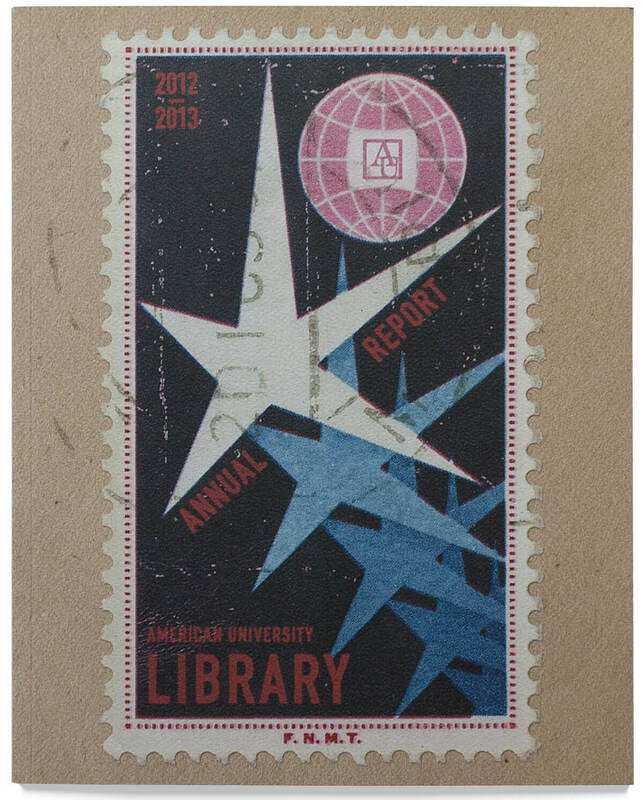 Design by Aaron Pedroza. 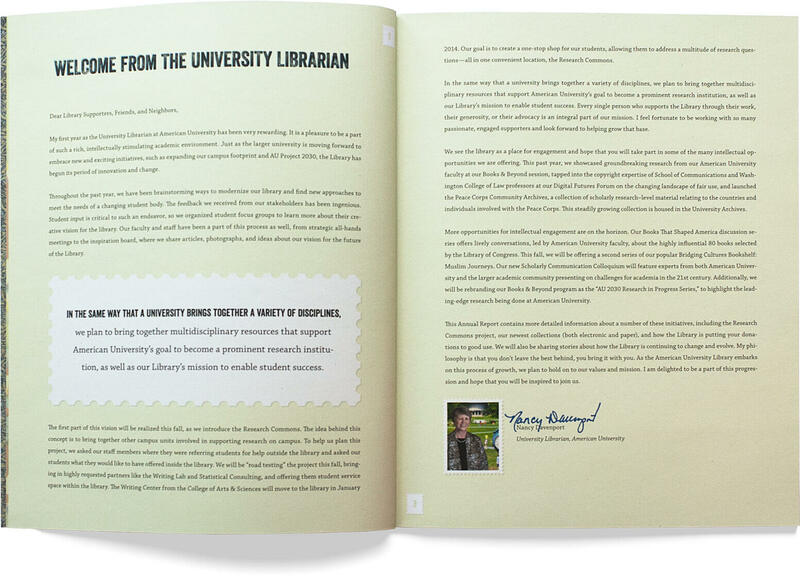 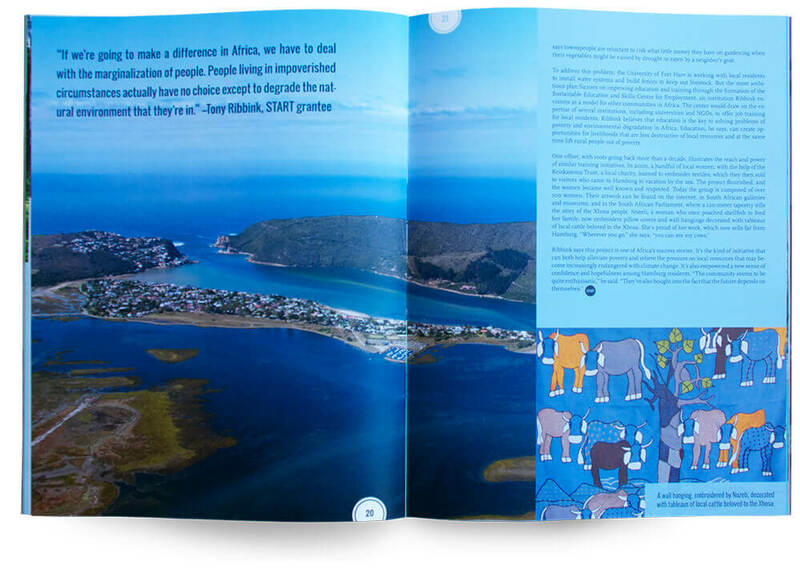 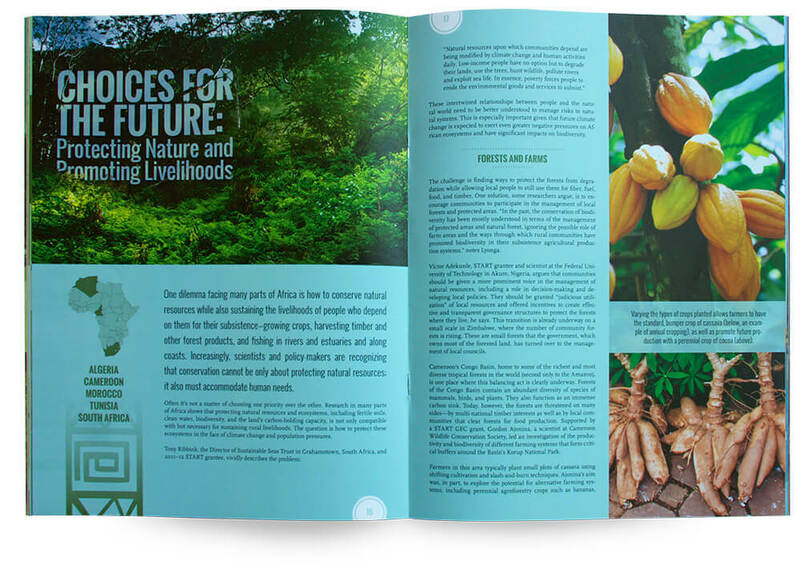 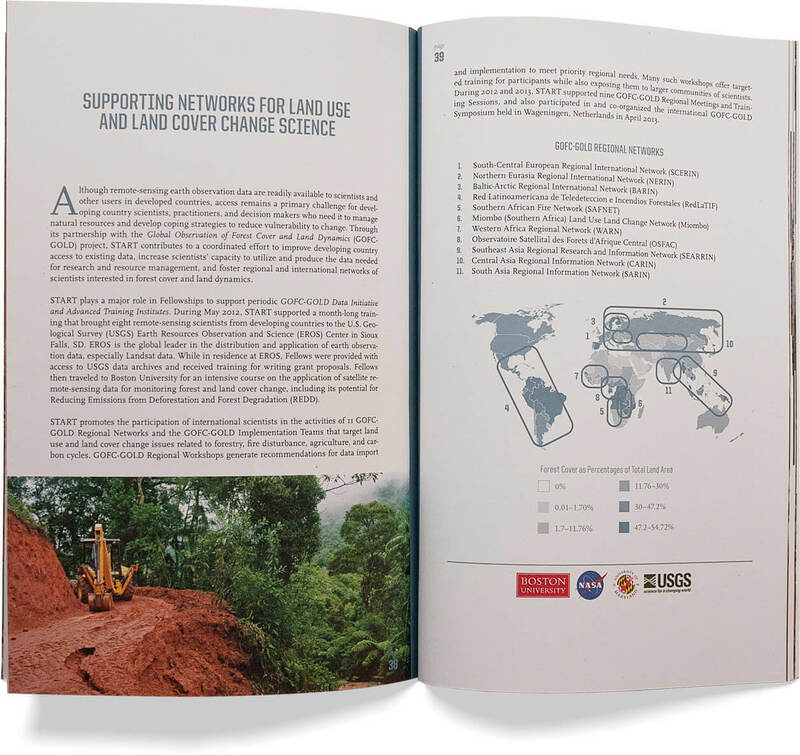 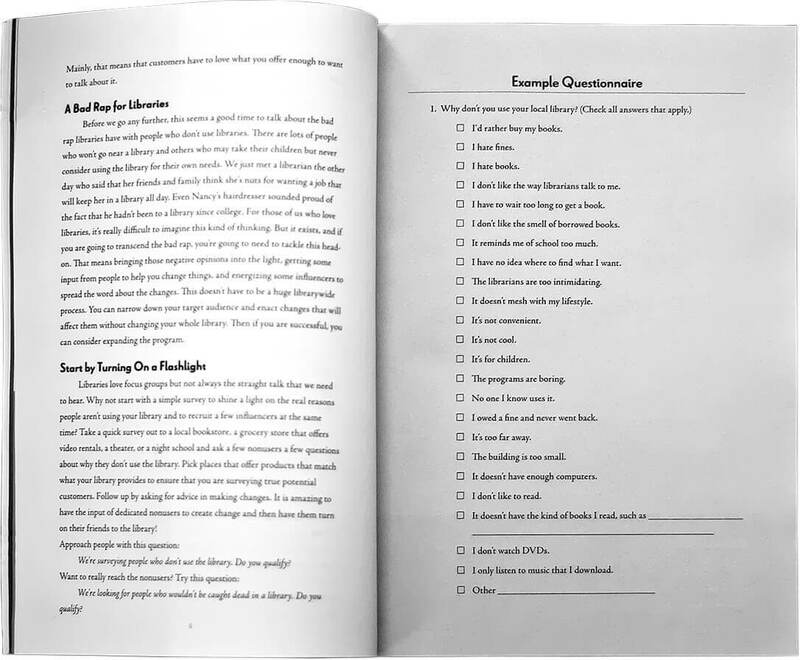 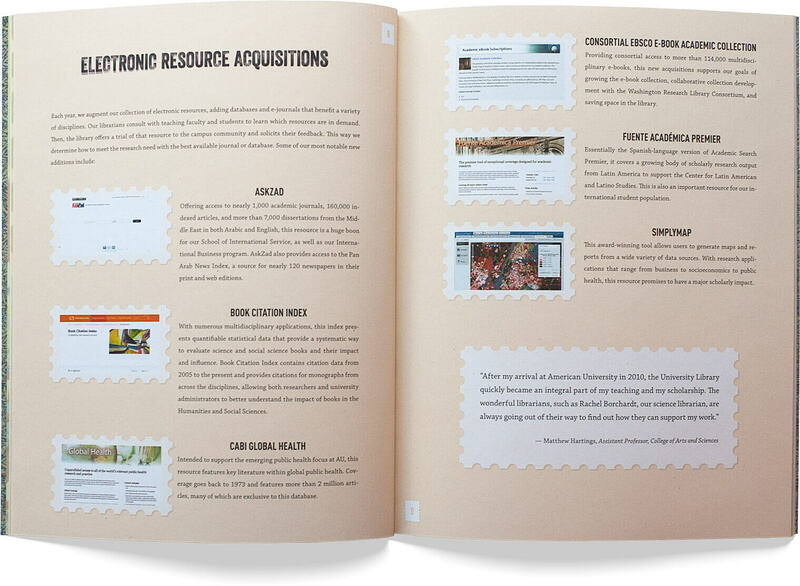 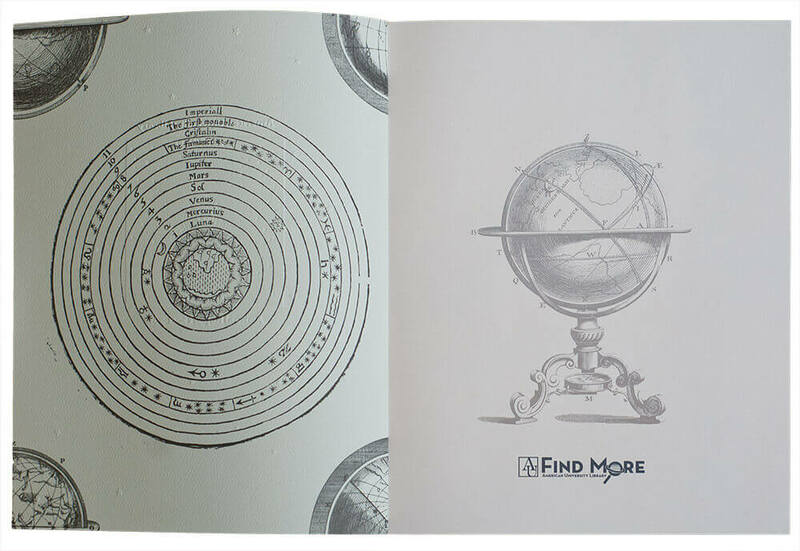 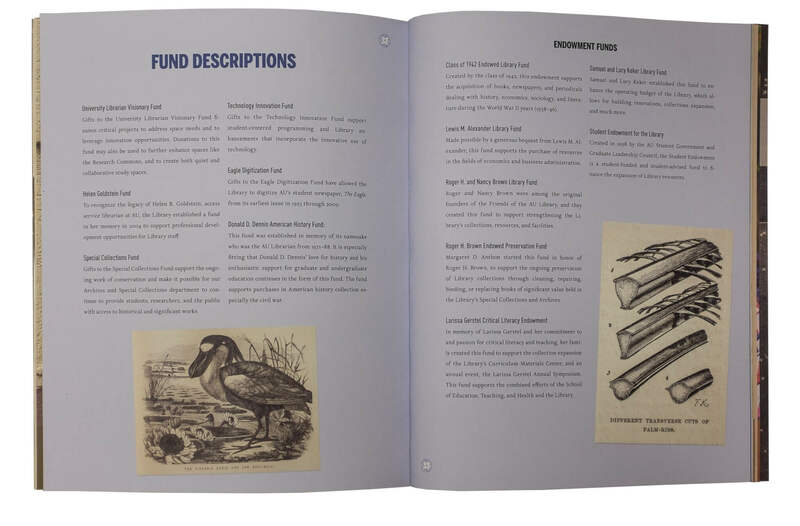 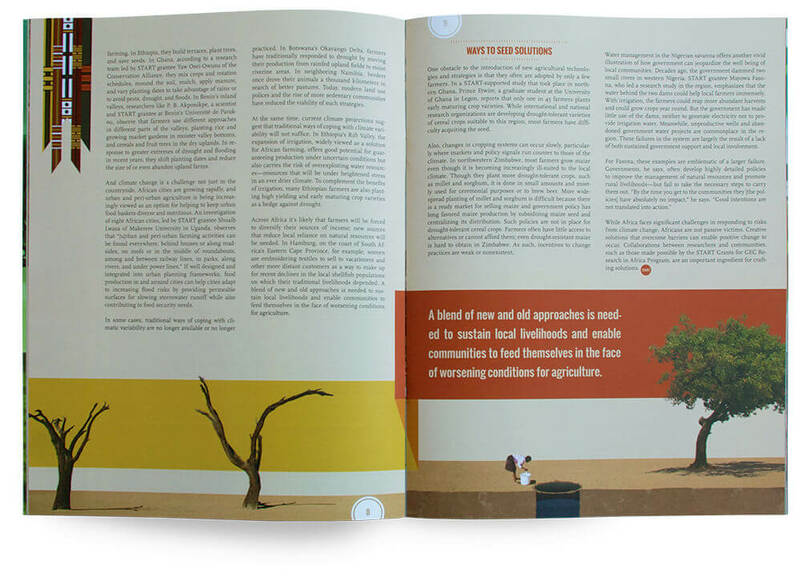 A beautiful and engaging print piece is essential in reaching donors. 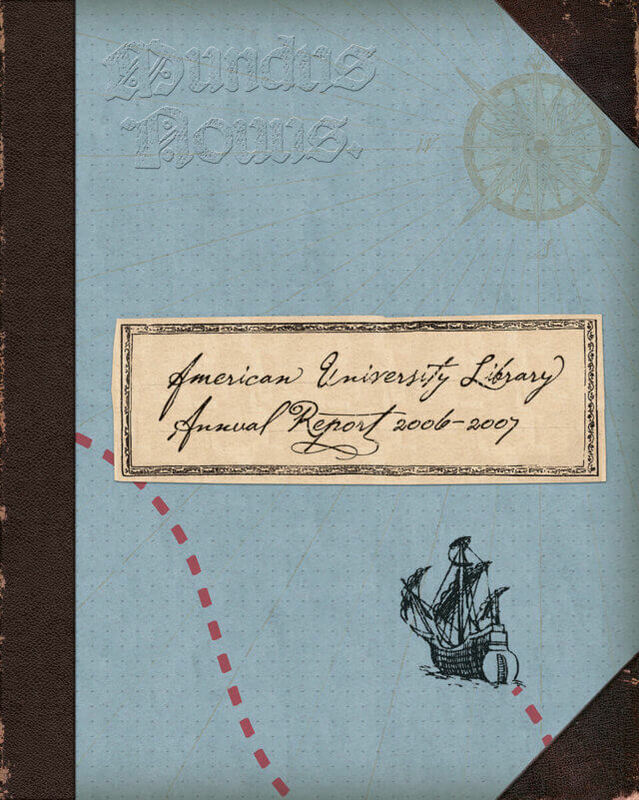 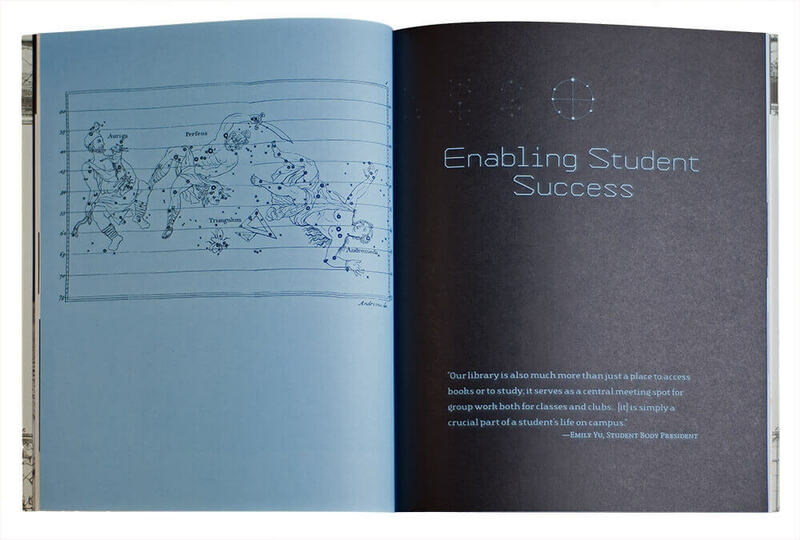 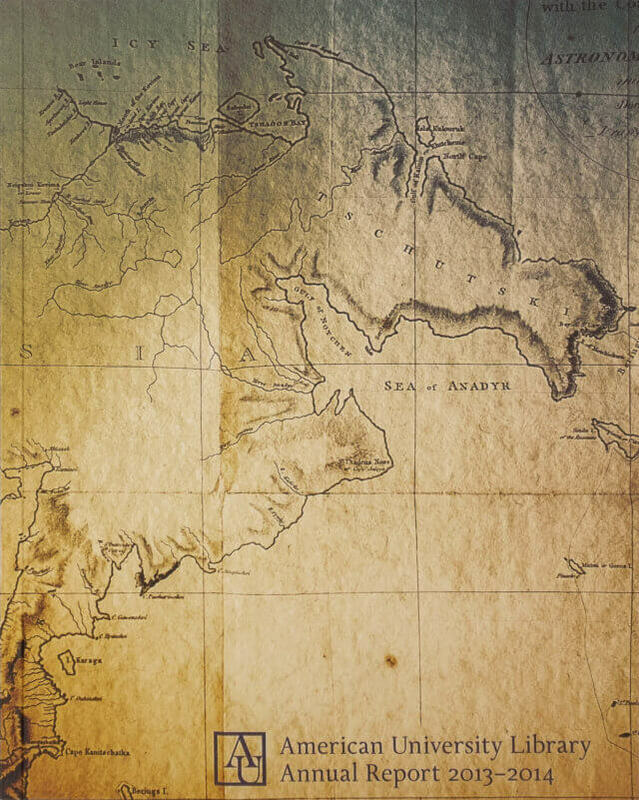 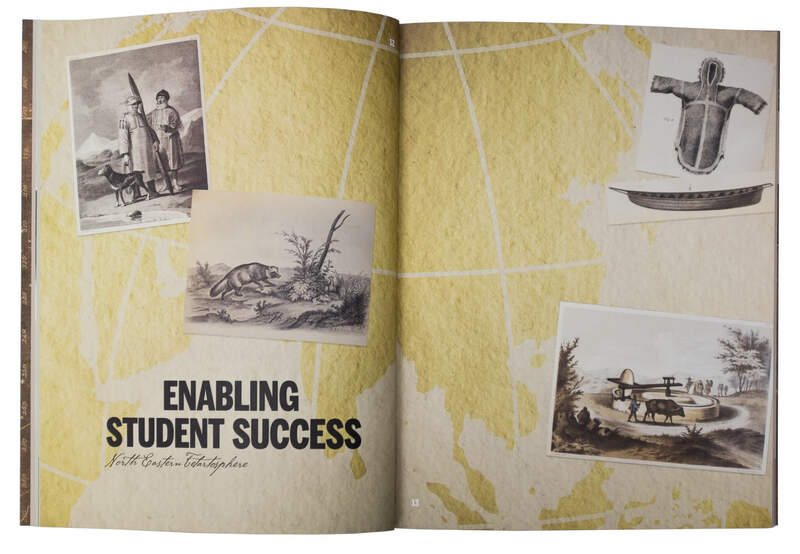 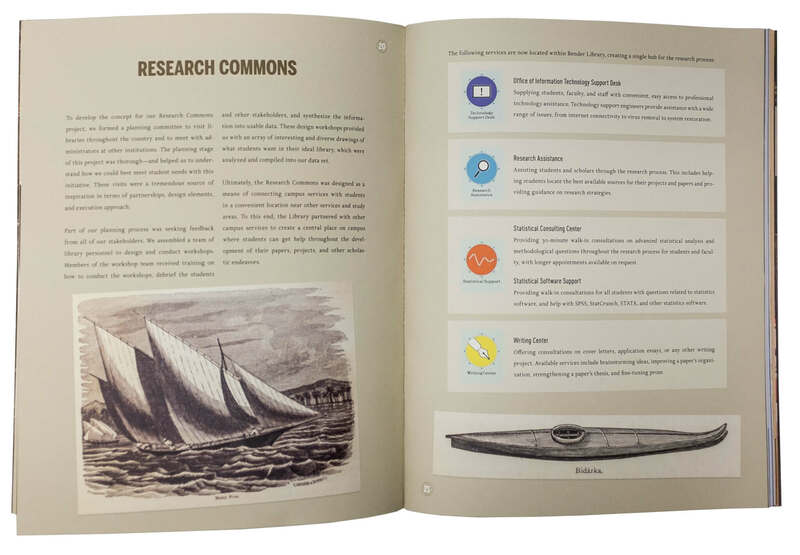 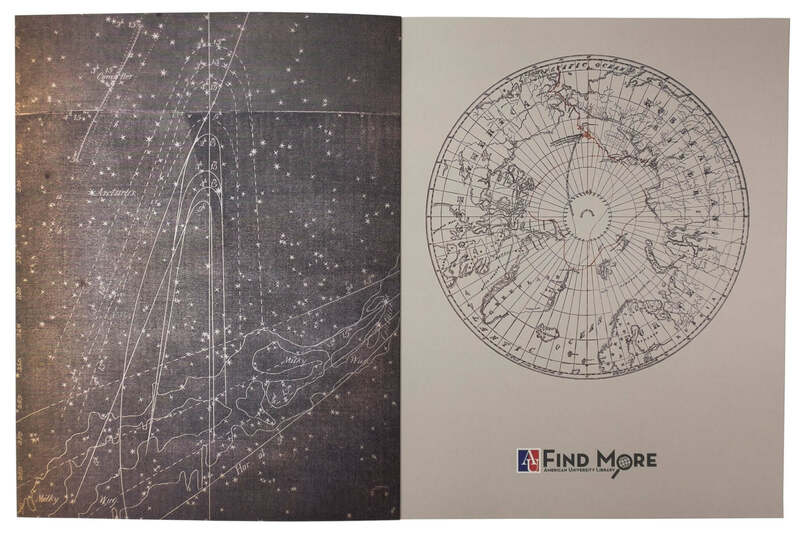 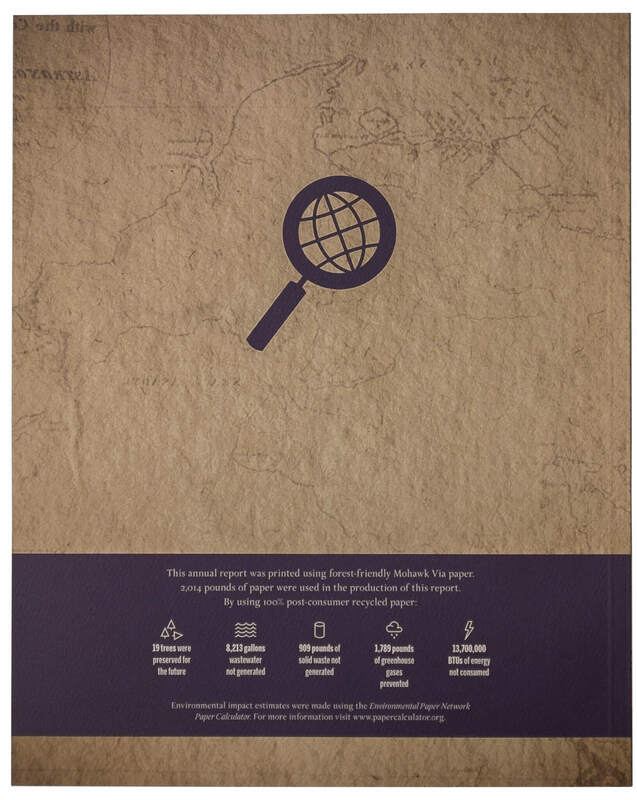 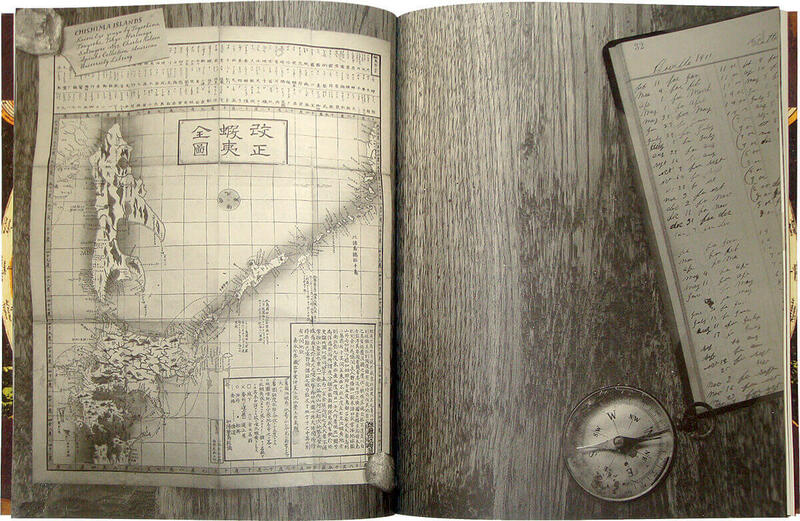 In this annual report, we accomplished this by using map images from American University Special Collections and creating a ship’s log-themed annual report.